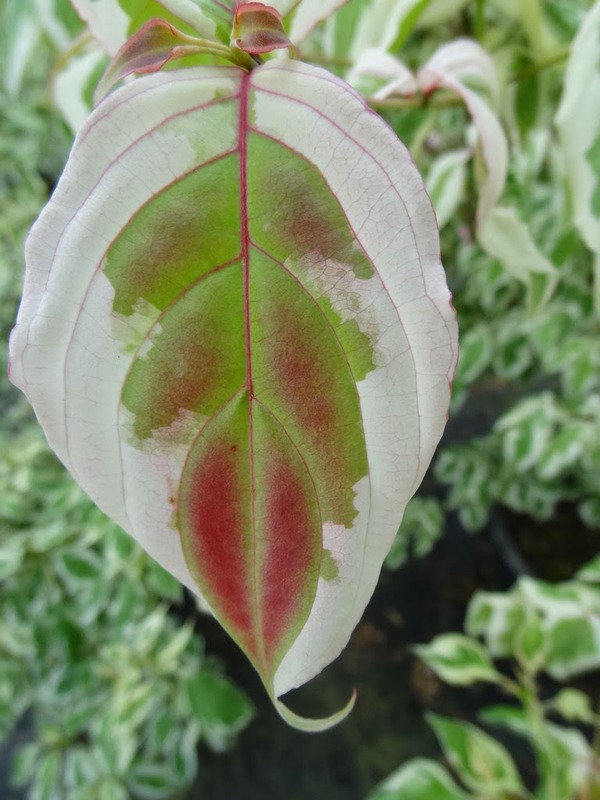 Last week's blog featured plants in the Cornus section at Flora Farm, in the Upper Gardens. 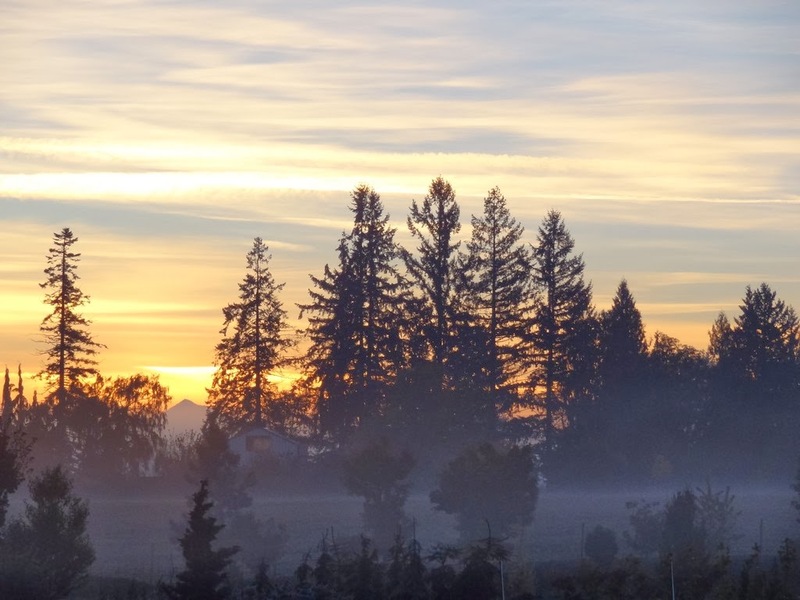 Regular readers know what I am talking about: namely that my home is located on a farm (Flora Farm) of 60 acres, with the best type of neighbor to the north – the Tualatin River – and to the south a group of "gardens" (the Upper Gardens) that extend up a gradual hill to Blooming-Fernhill Road. I estimate the above land-size to be a whopping half a million square feet, and yes I did the math twice to make sure I wasn't a zero or two off. The cars that barrel down the road at 65 MPH (plus) have only a quick blur at the trees below, and they must wonder if it is a little golf course or some type of nature amusement park. Other driver and bicyclists, traversing at a more leisurely pace, can clearly see that it is a tree collection, but must surely wonder, "what's the point?" I myself cannot answer that question, or at least provide an answer that is profitable. The gophers and moles, for their part, continue their farming operations to my consternation, and the damn creatures invade my personal space and disrupt my livelihood. They eat my Ginkgoes' roots, dull my mower blades, befoul my pristine landscapes and they breed by the millions every year. Of the 500,000 square feet that comprise the Upper Gardens, not one foot is devoid of a gopher hole. You might not be able to fathom what I just claimed. But come out with me then. We'll walk the grounds and you will see. Your ankles and feet will ache from the uneven terrain and you will grow old and tired like me. But Flora Farm has its advantages too. 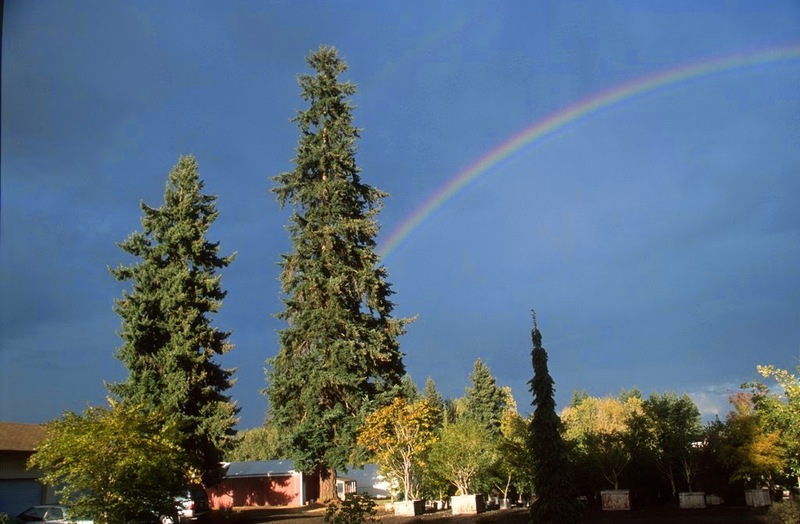 My Blooming-Fernhill community was formally organized during World War I, when the men were off fighting in Europe and the women and children really did need communal assistance. 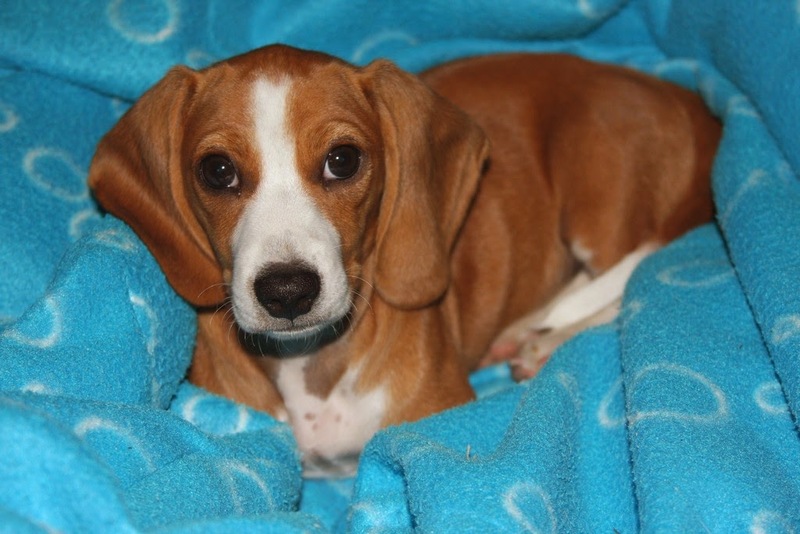 I was fortunate to meet neighbor Willa, just three houses up the hill from me. 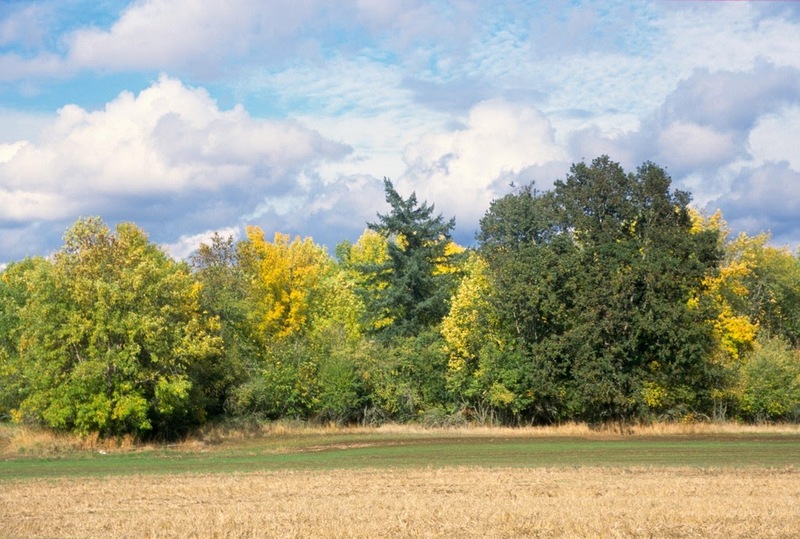 When her husband went off to war she surprised him and planted hazelnuts on their acreage. 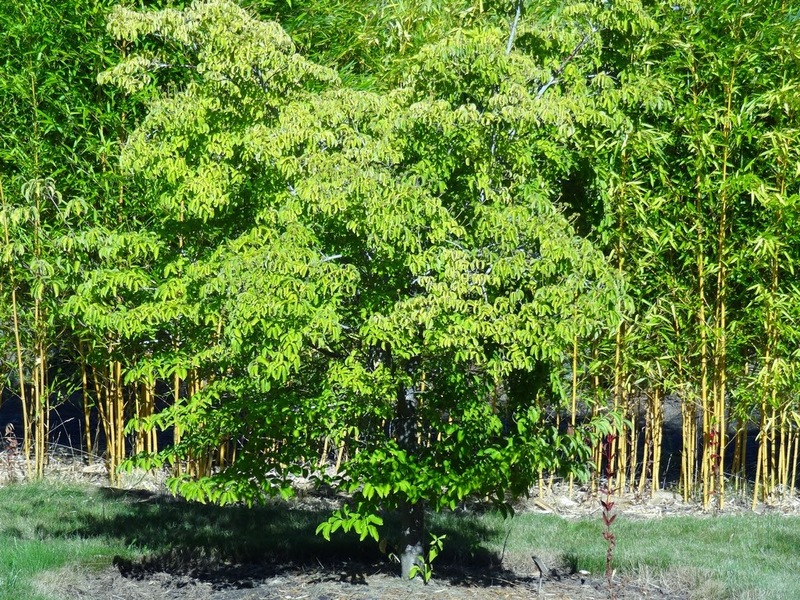 He returned and his son (or sons) farmed them for years, and even today the land consists of nut trees. Righteous Willa out-lived her husband; she endured and prospered delightfully for a century...and a little more, and even though I am not particularly religious myself, my family and all of Willa's friends could certainly recognize that the devout woman was a beacon of religious love. 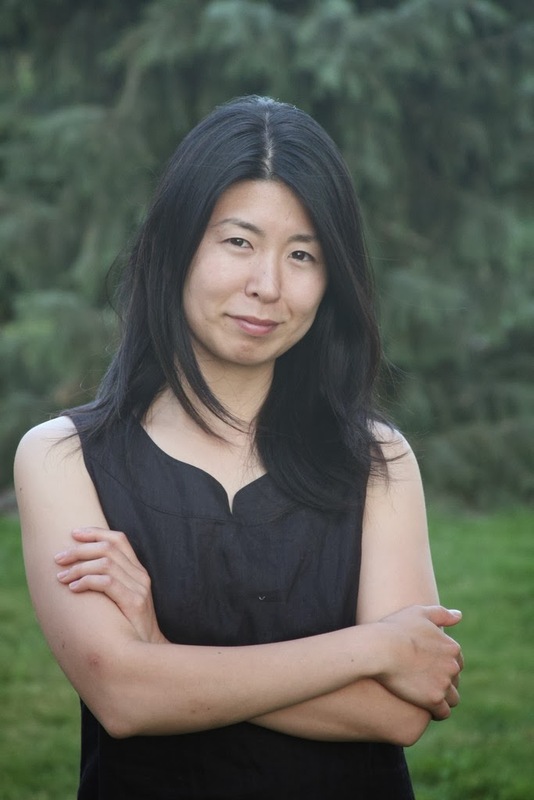 Someday, when I'm long gone, I imaging that my dear wife Haruko will shine at one hundred similarly, as she glows now in her mid-thirties. What difference does it make whether you are Buddhist or Christian? You will be defined by your works, by your grace. Of course Willa and Haruko hit it off instantly. But before you get to Willa's place, my immediate western neighbor is the good John Jackson, and both of us have grown ornamental trees for profit. 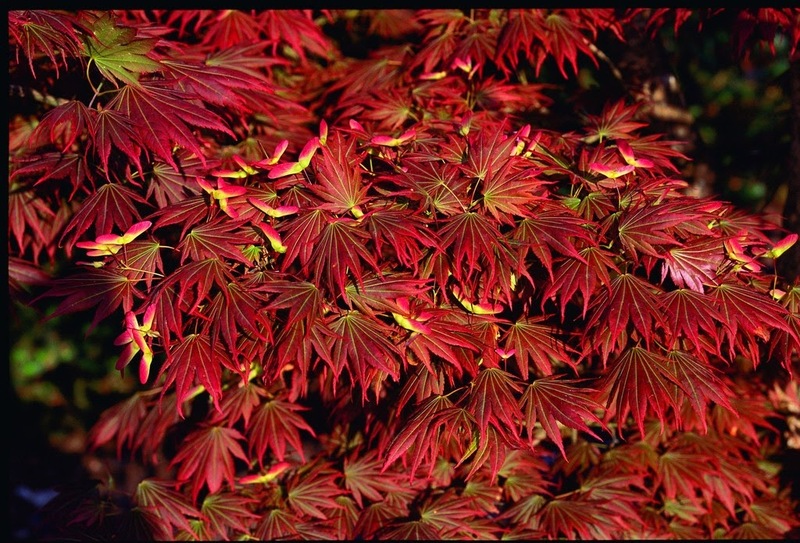 Mr. Jackson's father lived in Eugene, Oregon, and he was one of the first to go beyond the normal oeuvre of Japanese maples – beyond the red uprights and laceleafs...into the realm of the variegated Acer palmatum 'Butterfly', the dissected Acer palmatum 'Seiryu' and the feathery Acer palmatum 'Ruby Lace'. Today, son John grows tortuous willows (so close to Willa's place) for the florist trade, and, while only just a few years older than myself, he seems to be happily occupied with his semi-retirement. He is familiar with the area's stray dogs, knows the source of our well waters, has experienced the century flood-water marks and, with his pleasant wife Sharon, provide a buffer of security and decency on my western front. What a contrast to my main nursery location, an area known for aggressive drug addicts, felonious ne'er-do-wells and other spongy recipients on the public dole. 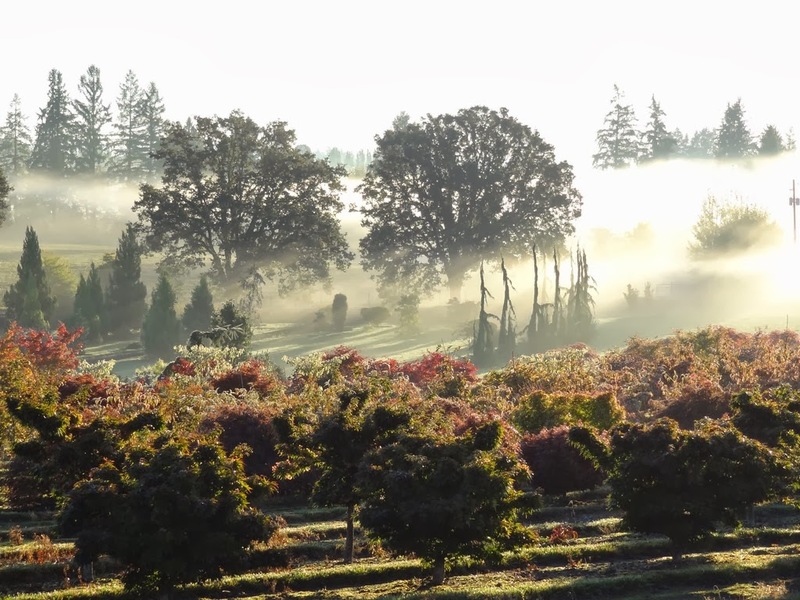 To the south we have Blooming-Fernhill Road, and across that are blueberry farms and vineyards of Pinot Noir that run most of its length. It's very obvious that I now reside in a much better neighborhood than at the nursery. 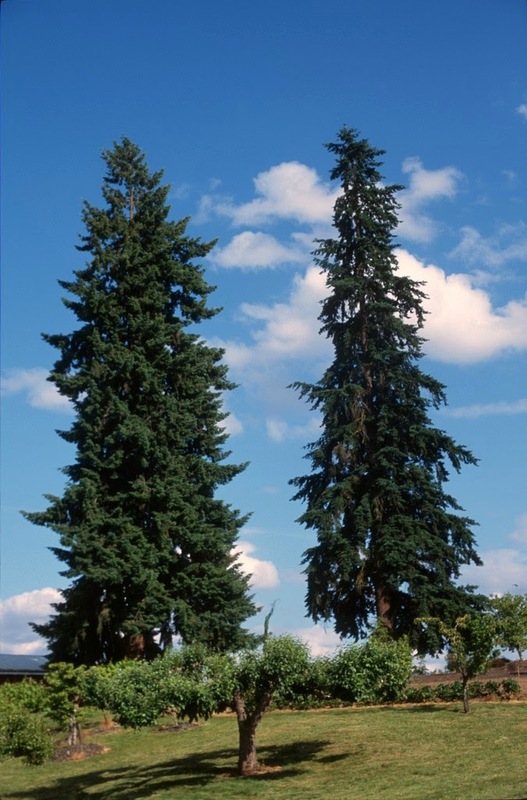 Besides, my Flora Farm features two enormous "Douglas Firs," Pseudotsuga menziesii, and near to them I planted a Pseudotsuga japonica and a Pseudotsuga sinensis, and I wonder if these three species exist in such close proximity anywhere else on earth. 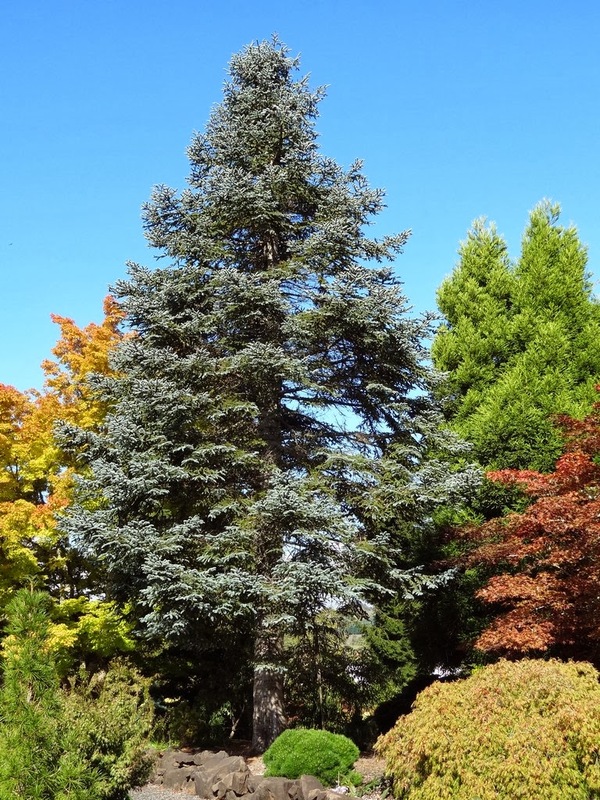 In the Upper Gardens I also made a point to plant cultivars of Sequoia, Sequoiadendron and Metasequoia close together, on the outside chance that the trees might be allowed to exist indefinitely. Don't forget that the Sequoia and Sequoiadendron genera were first scientifically categorized by one J.T. 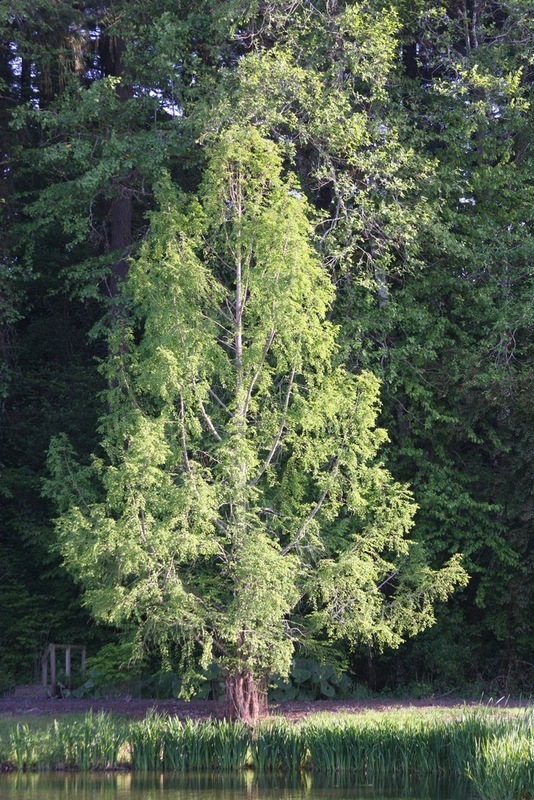 Buchholz, and that Buchholz Nursery also probably holds the national collection of Metasequoia cultivars in America. 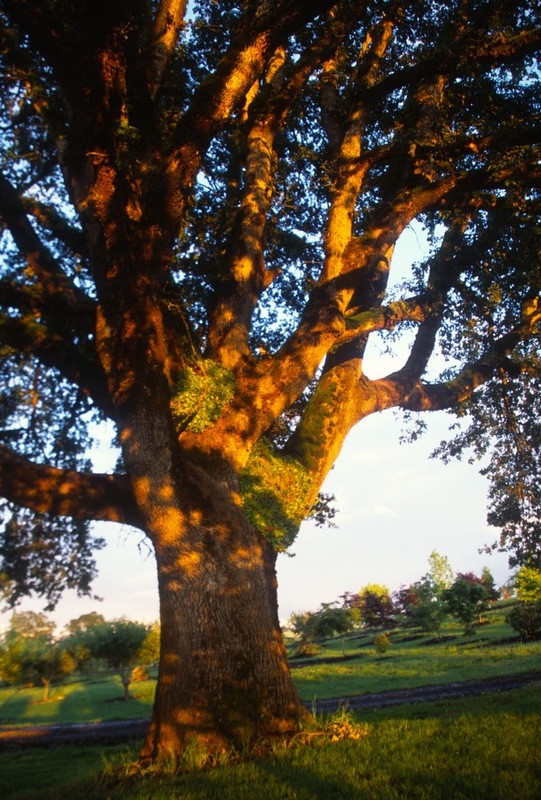 I confess that the main reason I purchased Flora Farm (nearly eleven years ago) was due to one gigantic oak in the front yard. This Quercus garryana is estimated to be over three hundred years old, unusual for its species that seldom achieves such an age. Note that my huge and perfectly-shaped oak and the two nearby Douglas Firs were not planted by anybody – they are native to my locale, and they certainly existed long before we white men ultimately robbed the land. What a coincidence that David Douglas (of the Fir) was the plant collector and explorer who named and introduced Quercus garryana. The species honors Nicholas Garry of the Hudson's Bay Company who helped Douglas during his travels. 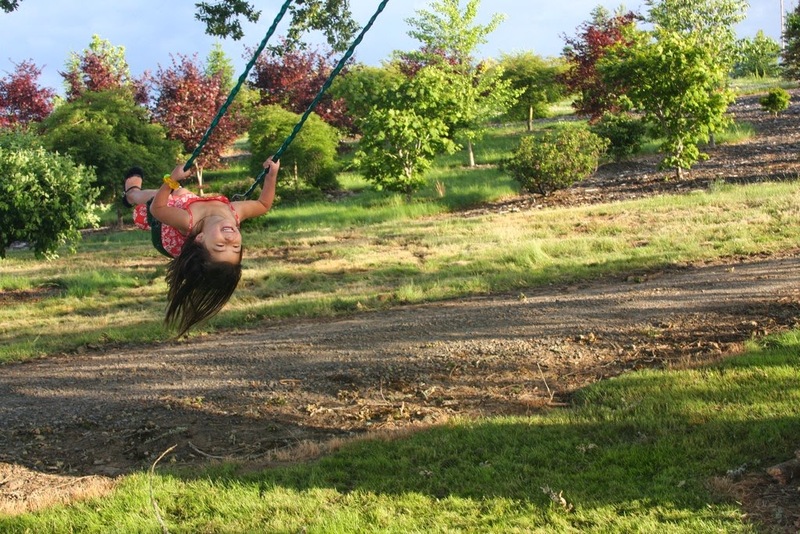 More importantly, my children now have a playhouse under the oak and a swing attached to it. Kids: imagine the Native American maiden who gathered acorns under this tree two or three hundred years ago. I now own a white man's deed to this property, but of course I am only a temporary occupier hereabouts. Eventually I will be but dusty crumbs, but these trees will continue long after me...or so I hope. 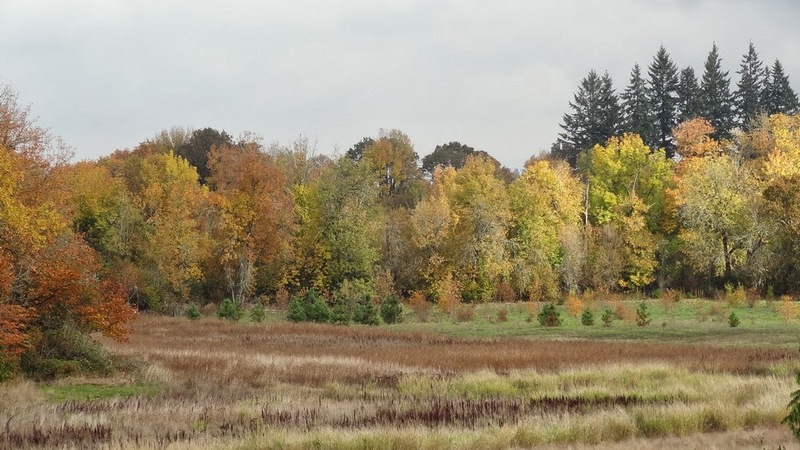 As mentioned before, to my property's north is the Tualatin River, and I actually own an acre or so on the opposite side. This real estate I concede to another farmer, as I have no easement to it, and I would have to ferry across the river to do anything with it. Strangely, I pay – not him – the property taxes, and the Guv always collects and couldn't care less about the access details. 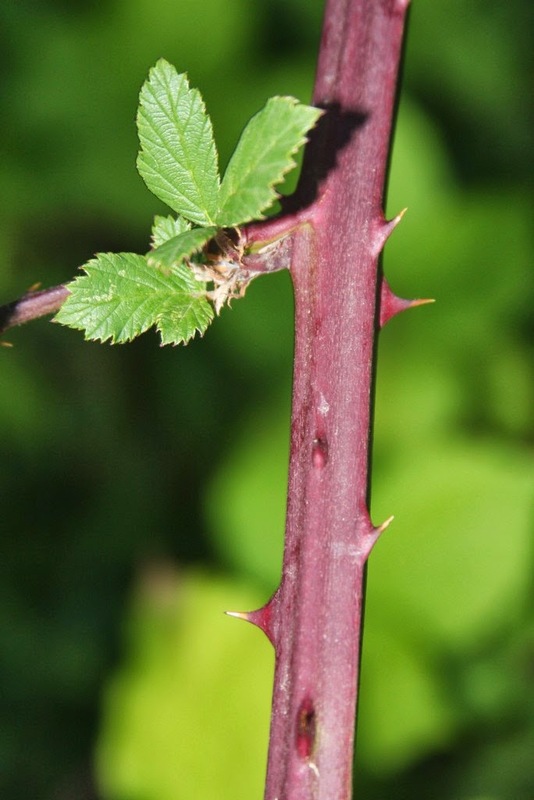 The herbage along the river includes poison oak (Toxicodendron diversilobum) and blackberries (Rubus fruticosus), as well as an impressive colony of Canadian thistle (Cirsium arvense). 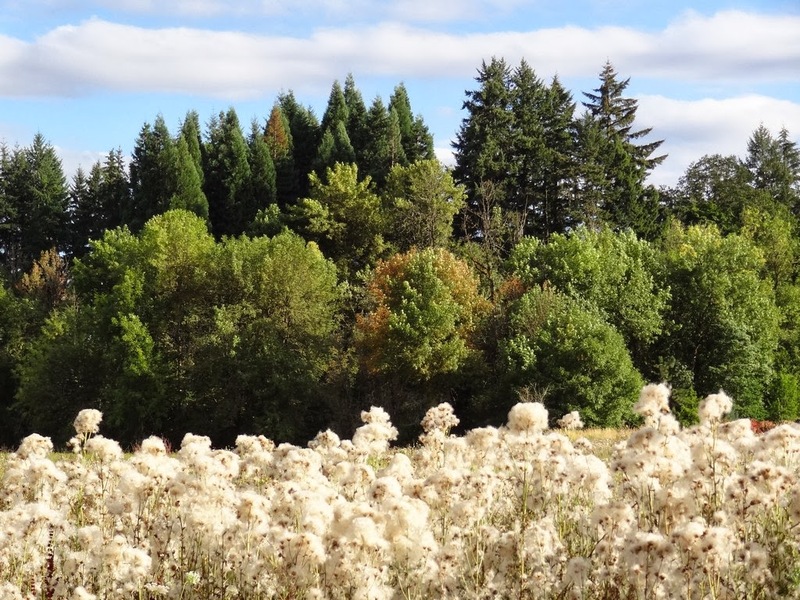 The more upstanding flora includes Acer circinatum, Acer macrophyllum, Quercus garryana and Pseudotsuga menziesii, and the trees are a haven for deer, fox, raccoons, coyotes etc. The coyotes often cry out chillingly at night, demonically yelping for a few minutes – up to a half hour – then suddenly go quiet. Whatever transpired in that time I do not want to know. 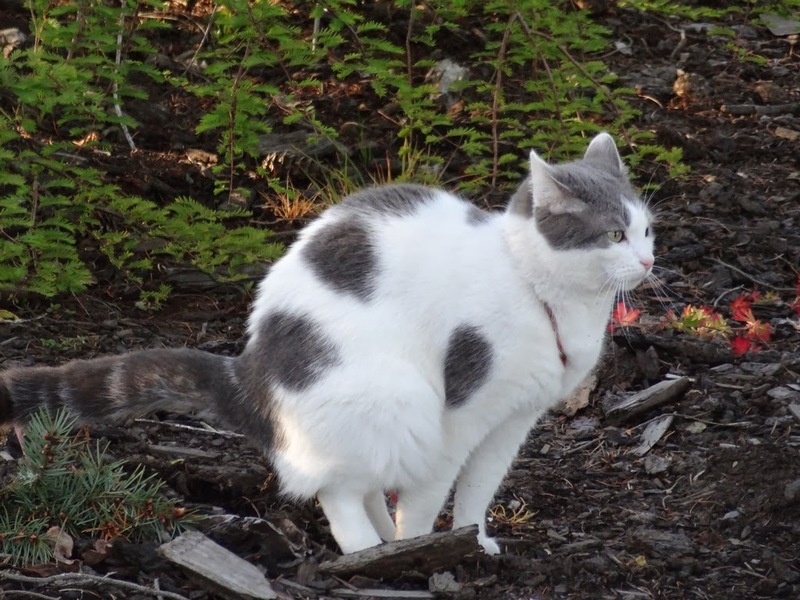 One night our family cat, Luna, was snatched away from our front lawn, only twenty steps away from our door, and only blood and fur remained for my shocked children. 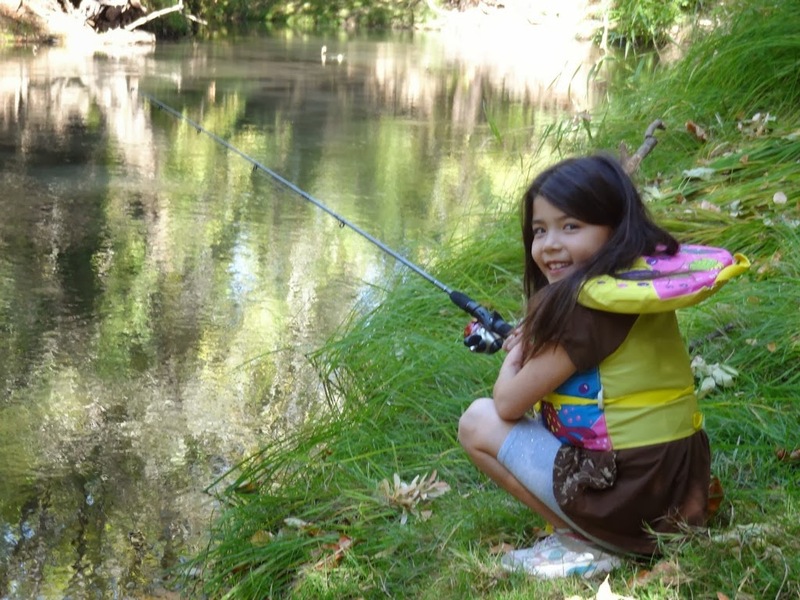 We are only two miles away from town, from the bank, school and box stores, but it can still be wild out here. 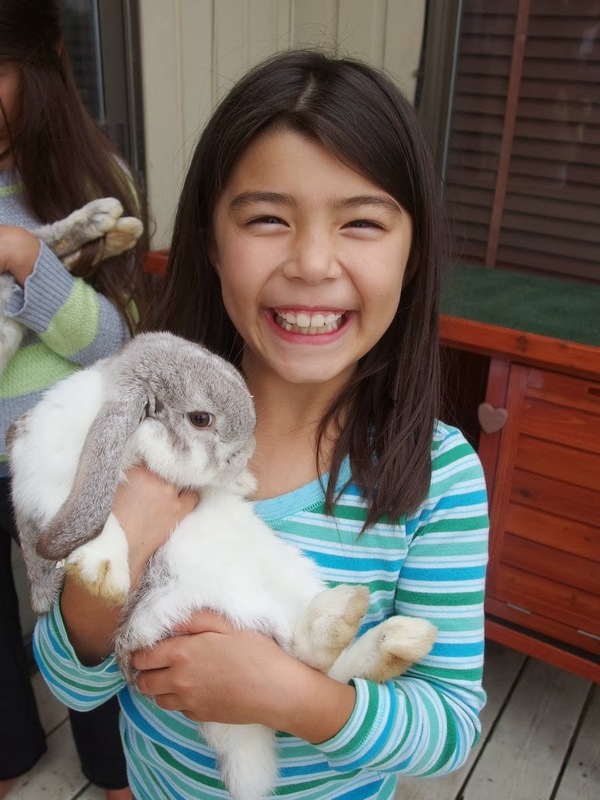 When my daughter Harumi was first becoming aware of our natural world, an owl would occasionally visit at night and hoot at her. My wife delights in the hummingbirds, as her hometown of Tokyo only contains screeching crows picking through garbage. And finally Haruko could see a rainbow (niji in Japanese), a phenomenon unknown to the denizens of that huge polluted city. 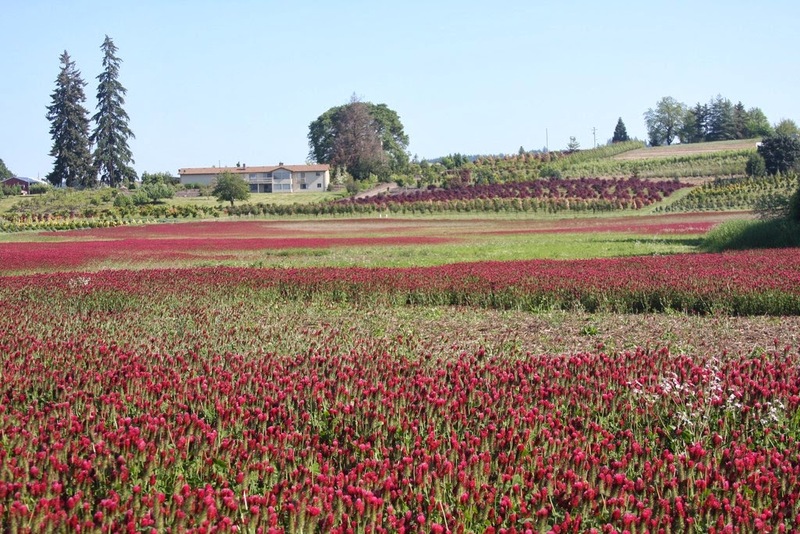 It's a good place to raise a family, this Flora Farm. 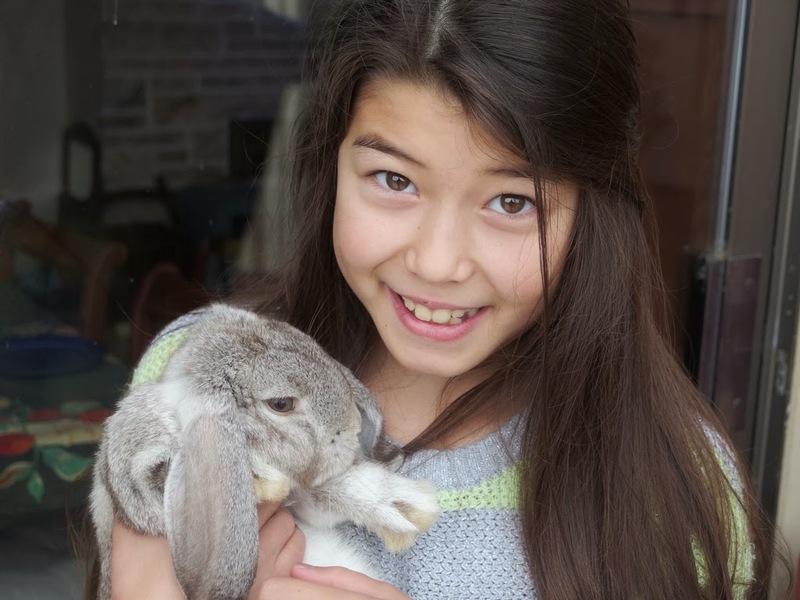 My daughters have their rabbit pets and Sammy the wonder-dog, and they even have their own personal garden where they have grown beans, sunflowers and roses. They love to live in the country, or at least do so now, and their mother makes sure that they understand that it's all due to their hard-working father. 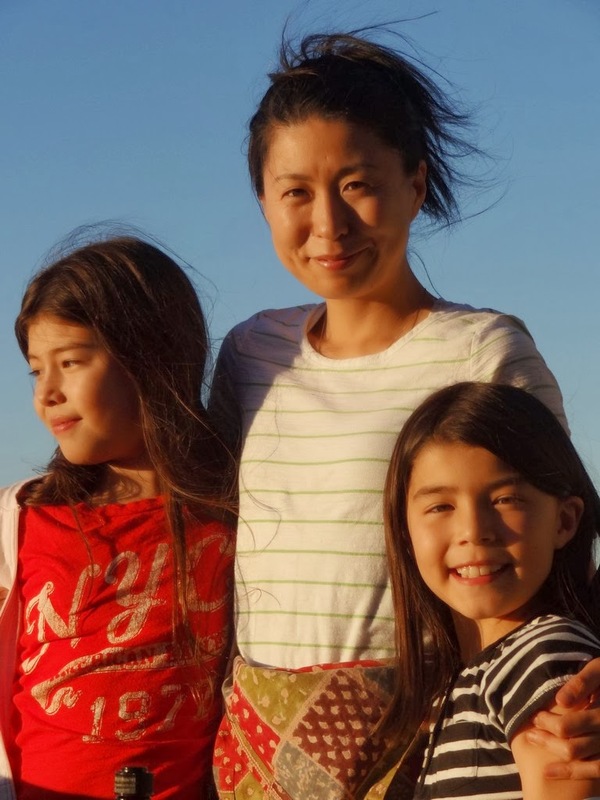 Haruko is a woman who gets it, a wonderful mother and wife. 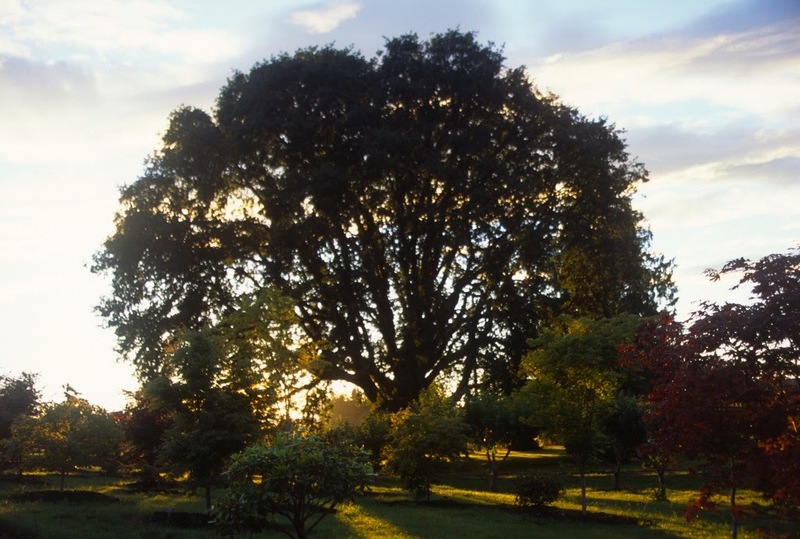 The Upper Gardens at Flora Farm have been featured in my blogs before, for there exists a wonderful array of woody trees and shrubs. They all reside in a semi-wild state, which means that we mow the grass and water occasionally, but don't devote any other resources to their upkeep...other than my infrequent attempts to keep the inventory updated and accurate. But that is enough of a chore, exceedingly more than you can imagine, due to lawnmowers' carelessness or indifference, and to the possible employee misunderstanding as to just why those metal label-objects exist anyway. It – the collection – is my personal obsession, my pleasure, but it is understandable that my employees are more focused on lunch-time and pay-day, and not to the accurate identification of my tree collection. 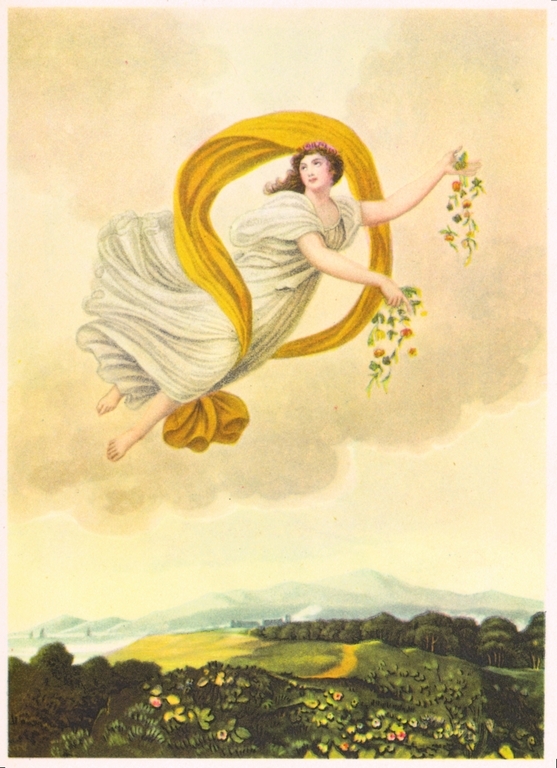 But yet the trees do grow and thrust into the sky; they eventually crowd themselves and into the roads, and many receive a "limbing-up" so as to not require a half-acre of empty terra beneath. In other words: you don't just plant an arboretum and walk away. This past weekend I spent a couple of hours amidst the Upper Garden trees. There are seven-or-eight sections above the house, all with identification names such as Acer, Abies, Cornus, Betula, Magnolia, Sciadopitys, Cercis...and probably one other that I am forgetting. None of these "gardens" is planted exclusively with its namesake tree, but there exists at least one such tree in its respective genus. Got it? 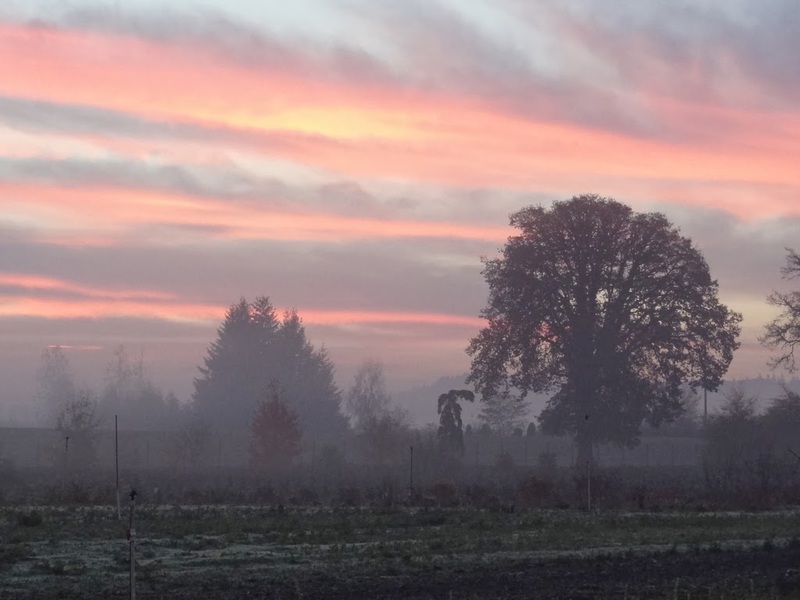 After the fog – the freezing fog – eventually lifted at noon, I ventured into the Cornus section of the collection...with my college-rule notebook paper on my cold metal-clipboard and recorded the trees. I must admit that I discovered a couple of species that I could not recall having planted; but there they were, and nice to meet them again. Ah, Abies concolor 'Wattezii', there you are finally! I knew you before I had you. 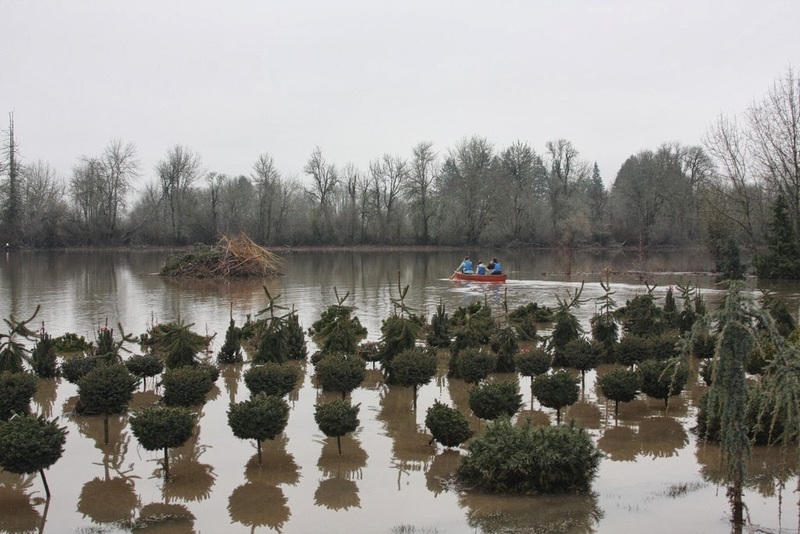 My tree-mentor, Dr. Forrest Bump of Forest Grove, Oregon, extolled your beauty in the 1980's when he visited England's Hillier's Nursery one spring and experienced 'Wattezii' with his wife. 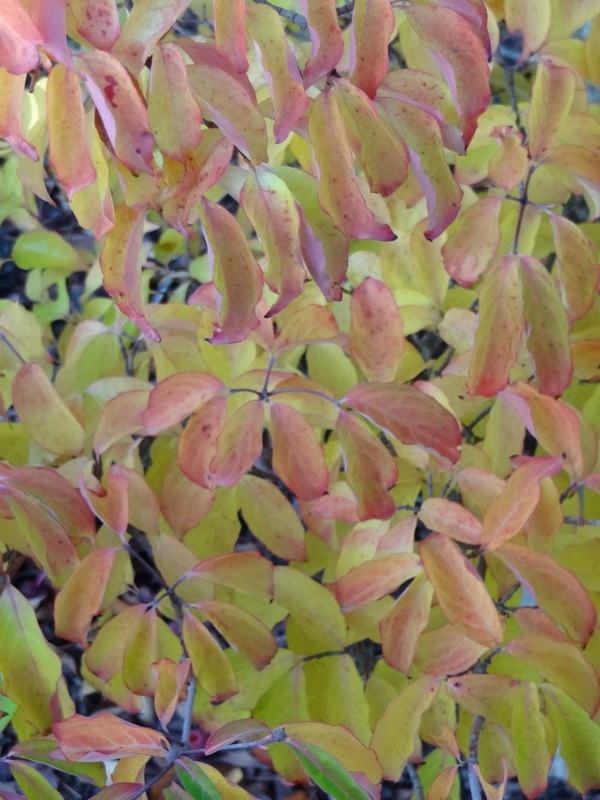 She was not really a plant person (actually not at all), but she absolutely loved the chartreuse new growth on 'Wattezii', especially displayed against the silver-blue older foliage. 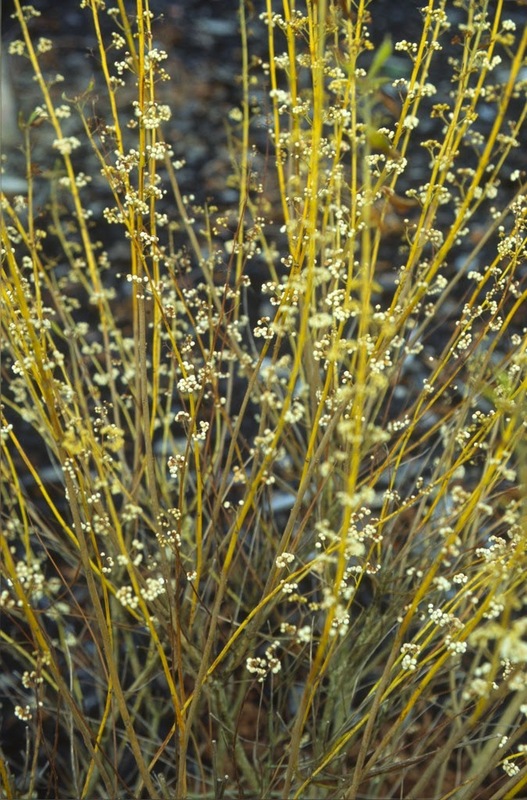 The concolor species does not especially thrive in my low western-Oregon climate – it is just too wet for it here – but nevertheless my one 'Wattezii' specimen, at eighteen years of age, continues to look good. 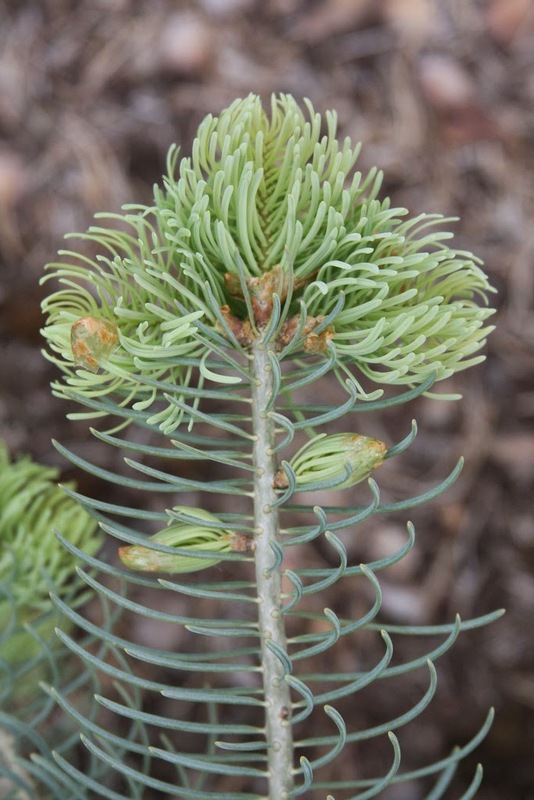 Perhaps of some importance is that it is grafted onto "Canaan Fir," Abies balsamea var. 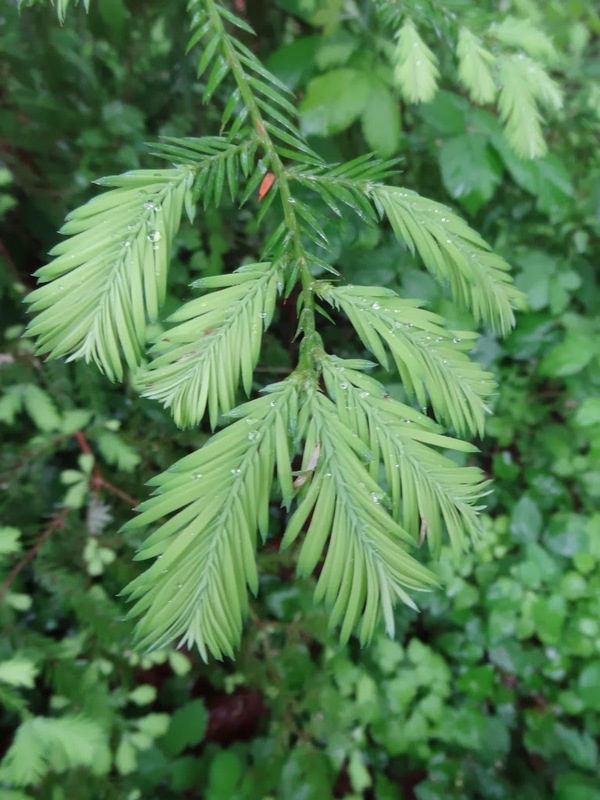 phanerolepis, a hybrid of the northern Abies balsamea with the southern Abies fraseri, an intermediate which naturally occurs in the swampy regions of West Virginia. 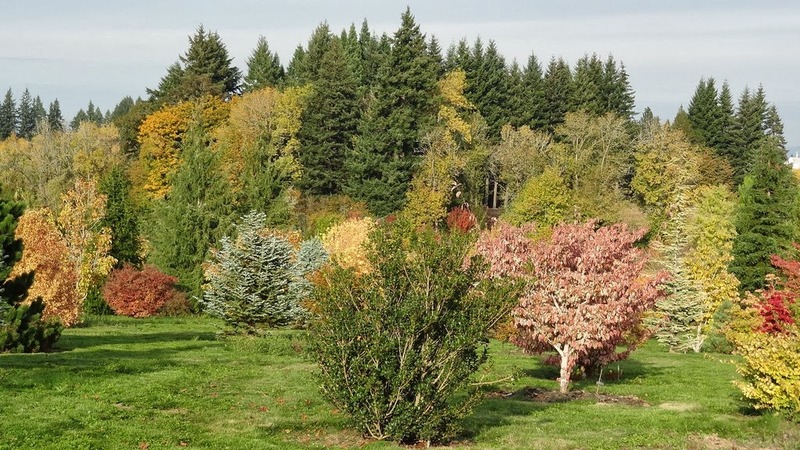 Just below the Cornus garden is the Abies section which I featured in the blogs Abies species in the Flora Wonder Arboretum and Abies species in the Flora Wonder Arboretum Part 2. 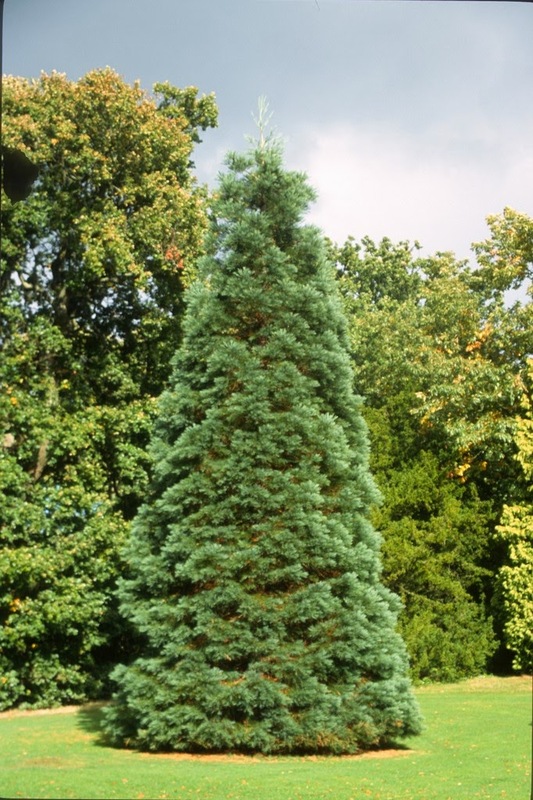 The Cornus garden also contains some "true fir," notably a fantastic specimen of Abies squamata 'Flaky'. 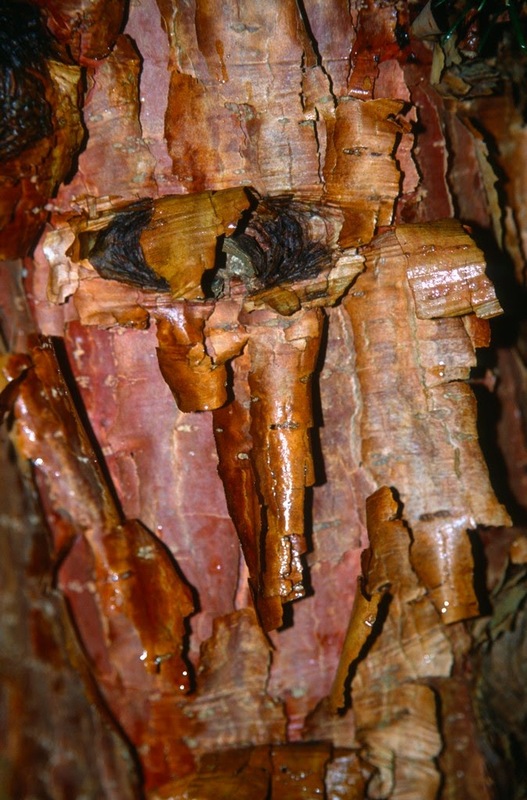 The "Flaky-Bark Fir" from the Szechuan-Tibet border delights all who see it. 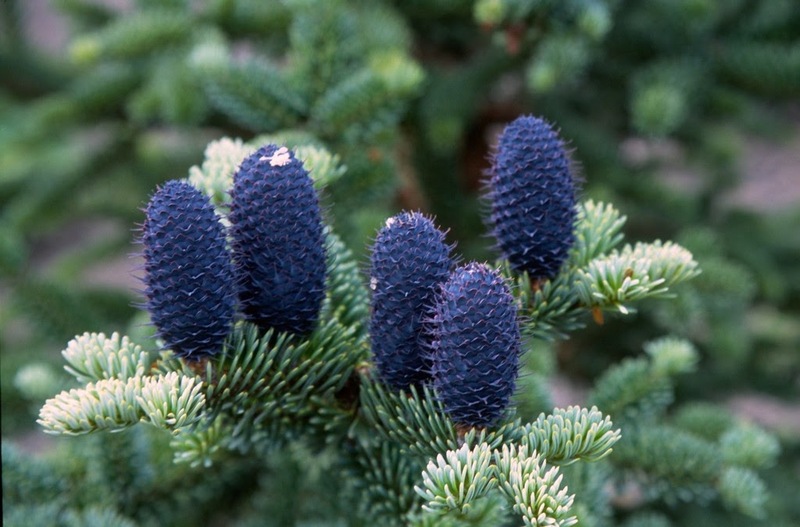 The needles are a rich blue-green and the cones are ornamentally purple, and when young the species can attain a perfect Christmas-tree form. 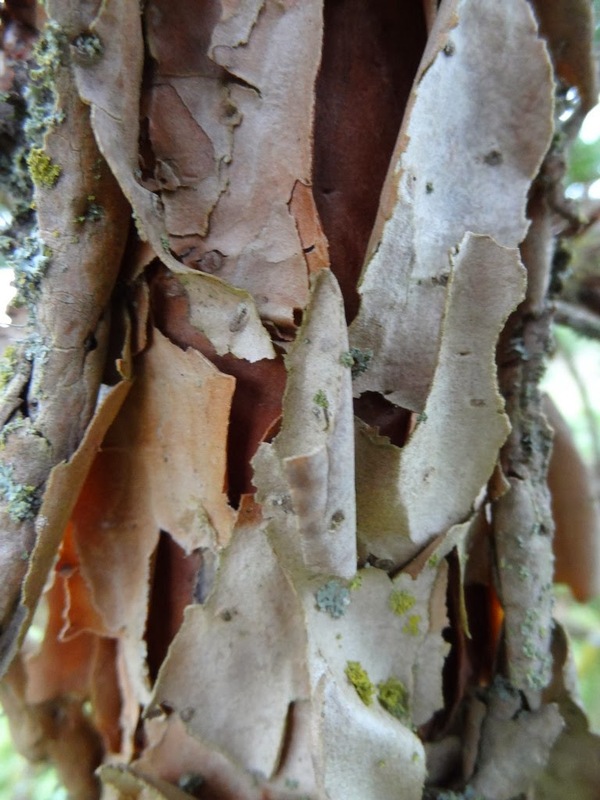 The exfoliating cinnamon-brown bark is fantastic, and I suspect that if I passed off some squamata trunk photos as Acer griseum, no one would notice. 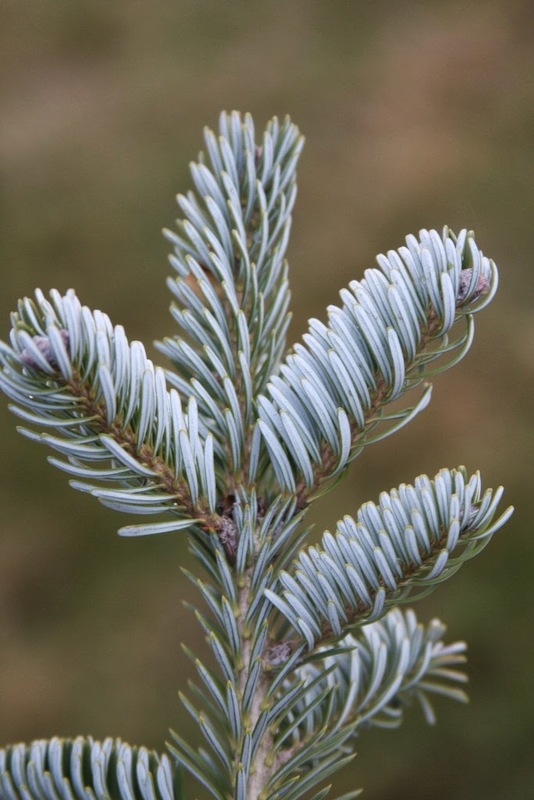 Abies squamata is native to a dry region, and it holds the altitude record of all Abies at 15,416 feet (4,700 meters). 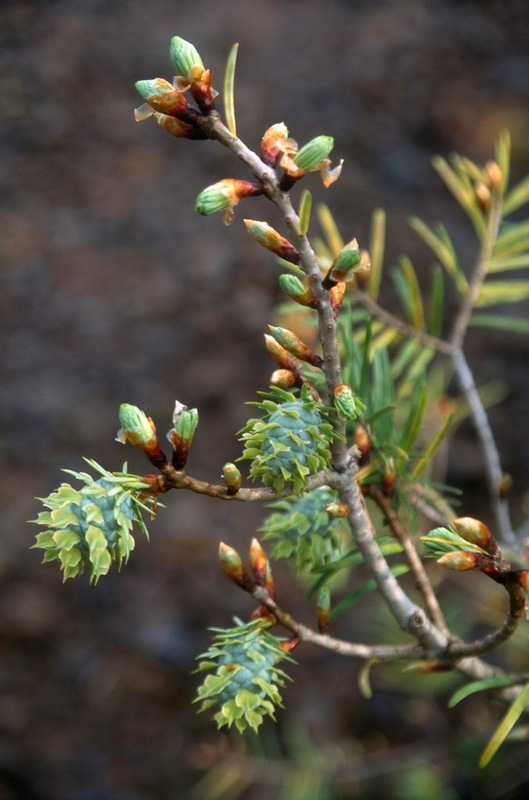 Locally it is known as "bollo," but then the Tibetans refer to other Abies and Picea species by the same common name. 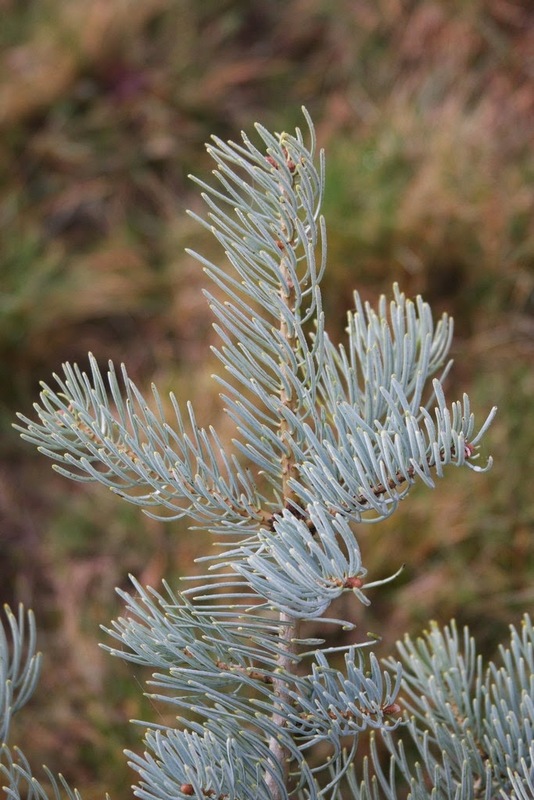 Abies squamata is listed as vulnerable by the IUCN Red List of Threatened Species, but I can produce lots of them should you want to grow it. Hardy to USDA zone 5. Another Abies in the Cornus section is koreana 'Blue Cone Pendula', the start of which came from an East Coast collector years ago. The cultivar name is unsound, besides the fact that it grows beautifully into an upright pyramidal shape, with nary a downturn of any branch. I didn't feel that I could sell it at any size since it didn't weep, and so my original specimen was planted in the Upper Gardens, the perfect spot when you don't know what else to do with the tree. 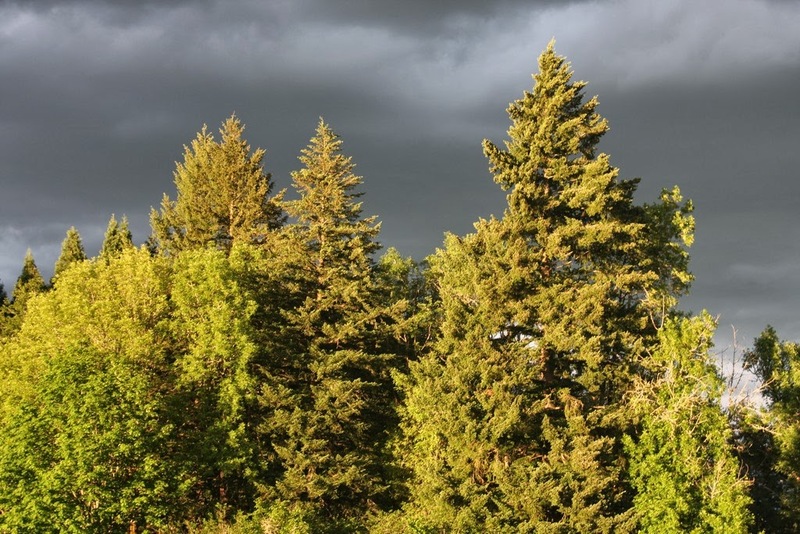 The same thing happened with a very prostrate form of "Noble Fir," Abies procera, that was labelled 'Glauca Prostrata'. The specimen that I grafted from was growing in my old Dutch employer's garden, and was only one foot tall by about ten feet wide at twenty years of age. All of the side shoots that I propagated from proved apically dominant, so it was yet another project that yielded zero profit. I'm happy though, that I planted one of these blue Nobles just outside my office window, and I removed the Prostrata part from the label. 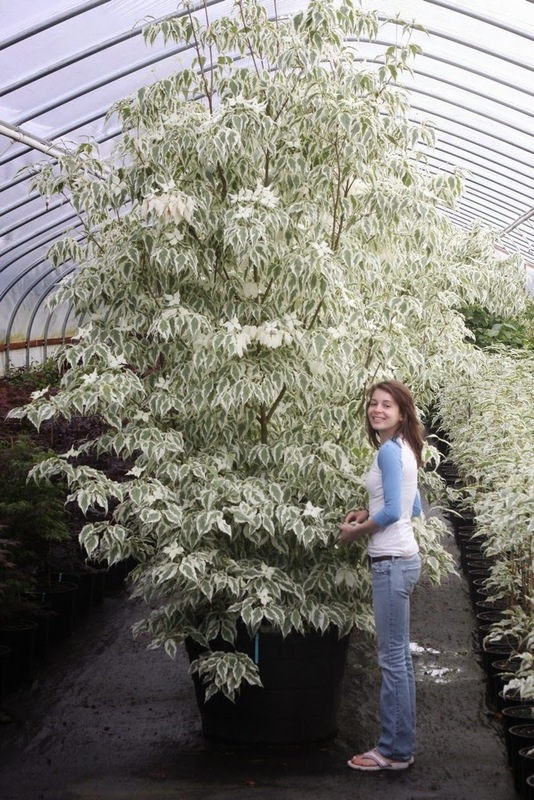 There are a few Ilex aquifolium cultivars in the Cornus section, and I love them greatly although there is not a huge demand in my market. 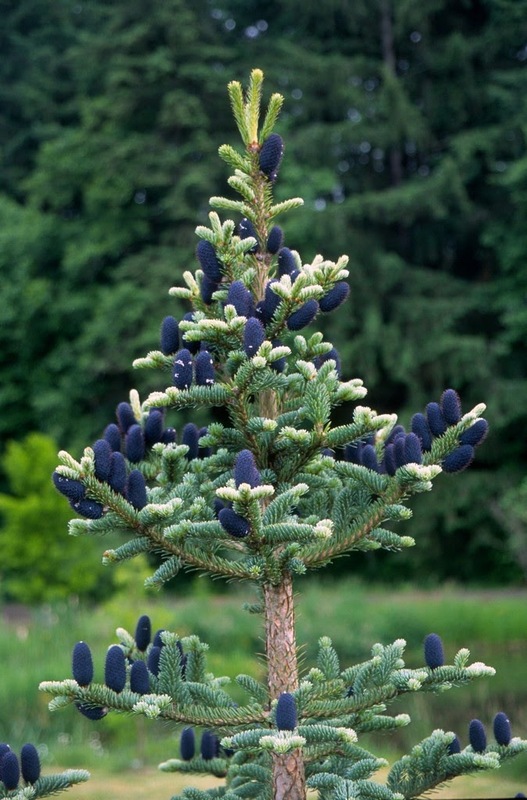 As noticeable and vibrant as any golden spruce or pine in the winterscape is 'Night Glow'. 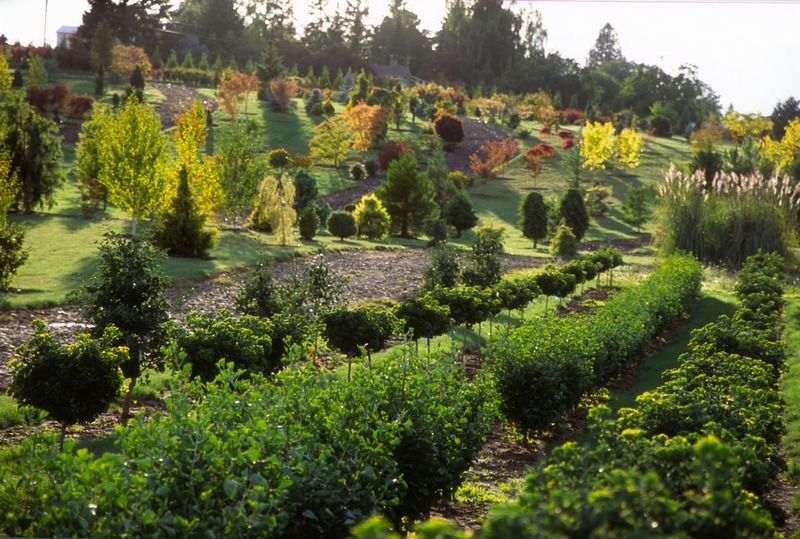 My start came from the same Dr. Bump of Forest Grove mentioned above, for the good doctor had quite a collection of Ilex in his famous Rhododendron garden...and maples too. 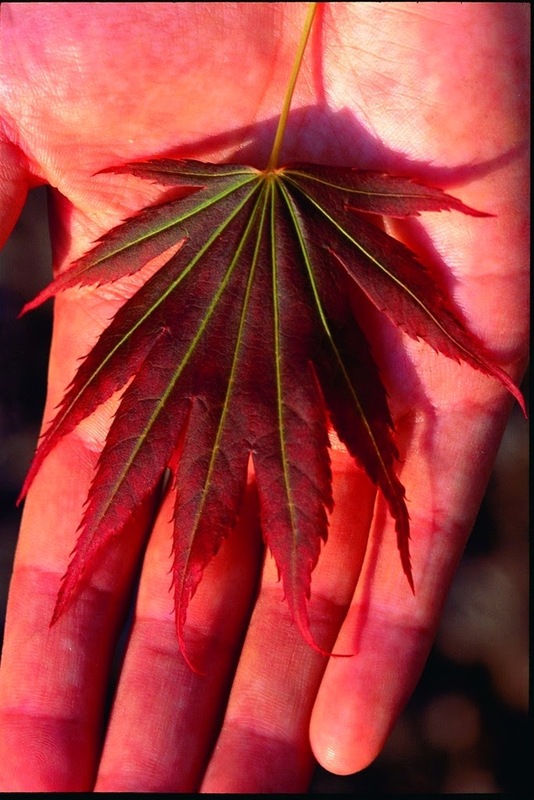 He discovered and named Acer palmatum 'Tiger Rose', which he named for his wife, uh, the "Rose" part. Now in his 90's, Dr. Bump no longer gardens, and sadly he is now holed up in an assisted living situation. But he was very helpful and supportive of me when I began my career. Back to 'Night Glow', as dusk advances the plant really does shine, as if the day-time light was stored up inside. What a showoff! 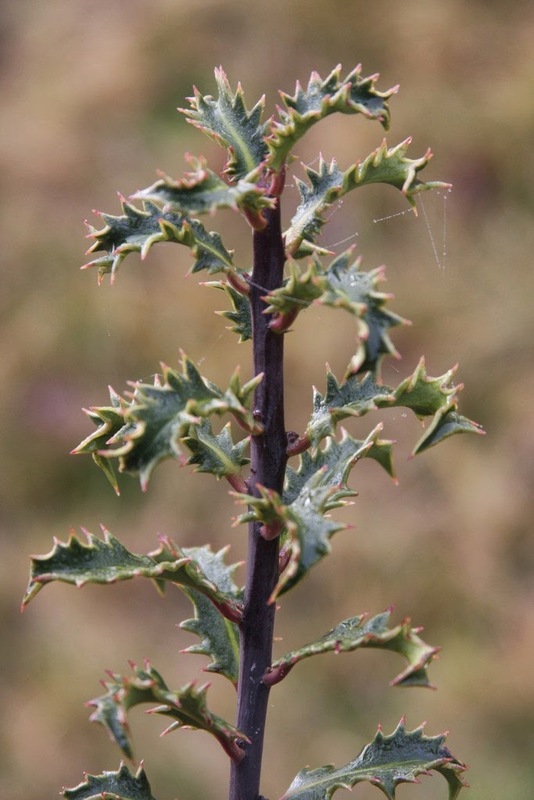 Ilex aquifolium 'Crassifolia' is a most curious selection, with thick small dark-green leaves with rude spines. 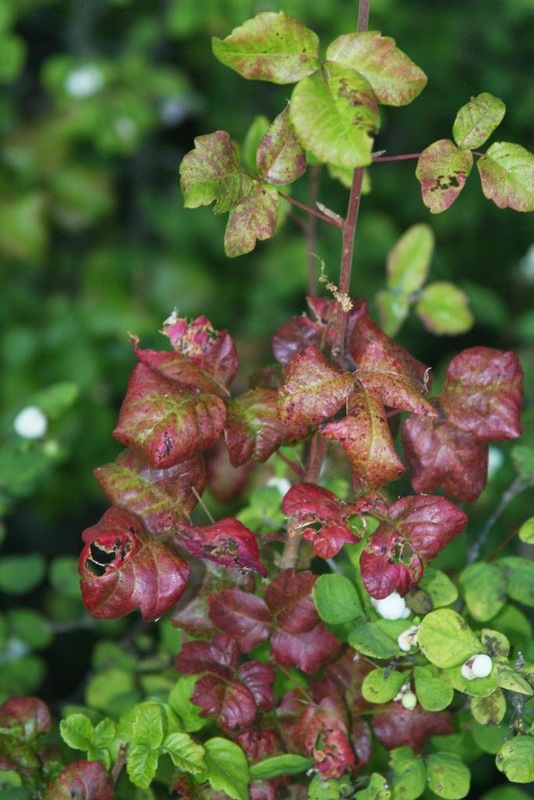 Krussmann, in Manual of Broadleaved Trees and Shrubs, decides that 'Crassifolia' is "not attractive, but unusual." There is a dull German for you, but anyway I think it is attractive. The cultivar name is from Latin crassus, meaning "fat, stout or thick," and folia is of course from Latin folium for "leaf." 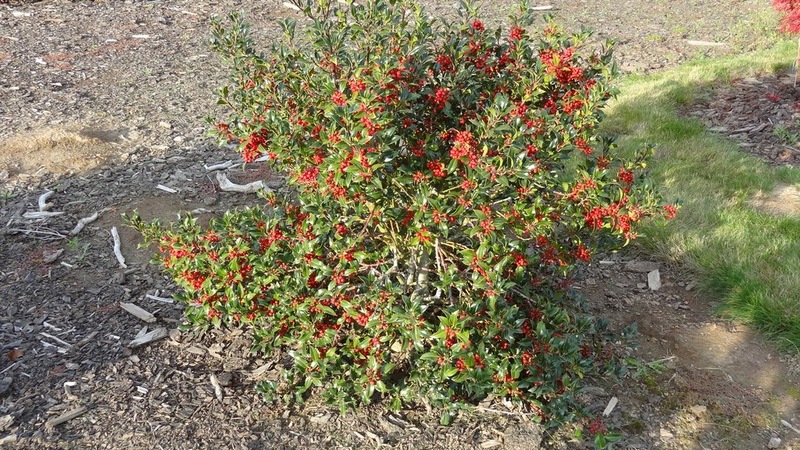 Another delightful holly is the dwarf 'Pixie' which grows into a rounded form. 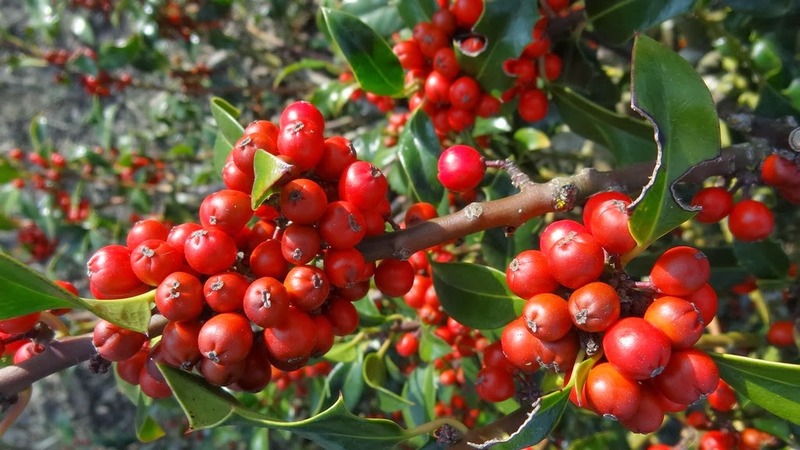 The specimen shown above is about three feet tall by three feet wide in fifteen years and berries nicely throughout fall and winter. 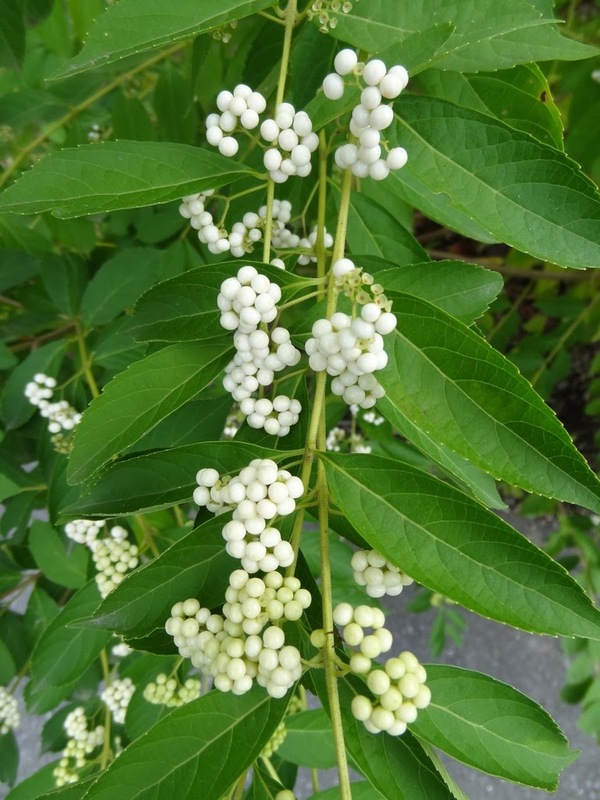 Speaking of berries, how about the "Japanese White Beauty Berry," Callicarpa japonica 'Leucocarpa'? 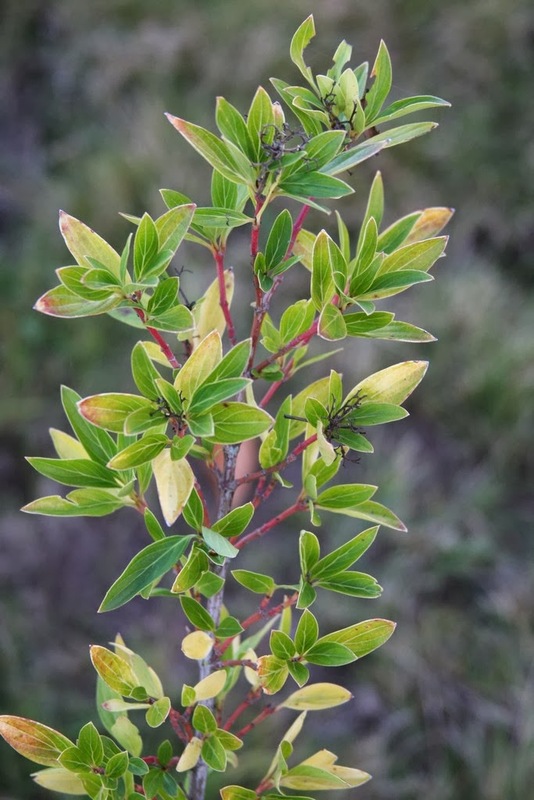 Tiny pearl-like fruits appear in the fall and persist throughout winter, and the bush is especially attractive when the leaves are out of the way. The name Callicarpa is derived from two Greek words meaning "beautiful" and "fruit," while Leucocarpa is from Greek leucos meaning "bright" or "brilliant" (in a white sense). Even though the berries are small they are born in profusion, and I thoughtfully placed the bush next to my driveway, so I'm able to see it at least twice per day. What is barely noticeable are the pale pinkish-white flowers in summer, but that's a small concession compared to the winter show. 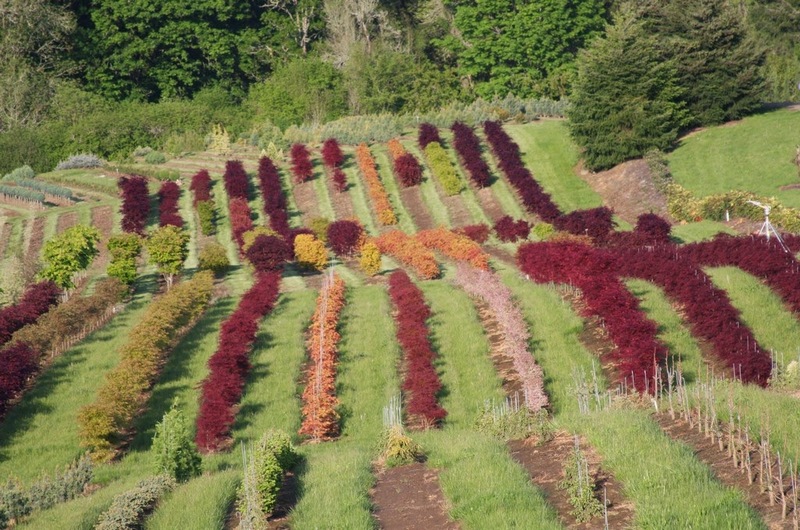 I'm glad that I didn't follow the advice of a now ex-employee who suggested that I should grow only maples and conifers, and who detested the little alpines, perennials and woody shrubs that I encumbered my nursery with. Ha! Since his departure we have blossomed joyfully into the "other" category of plants...with no end in sight. 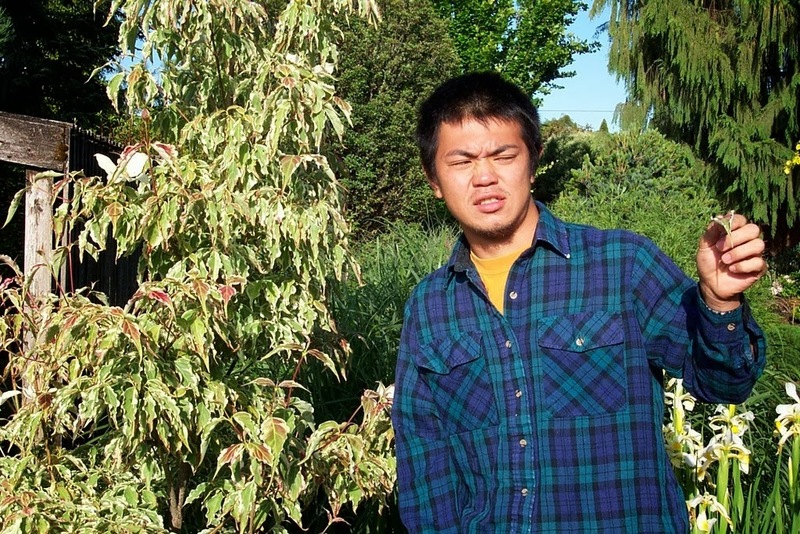 The Cornus garden is full of maples, and it's fun to watch the specimens mature. What's not fun is to notice that I am maturing as well, for some large specimens have been in the ground over ten years, when they were also possibly ten years old when planted. So they're like my living diary, a constant reminder that there are far less days at the top of my life's hourglass than days at the bottom. 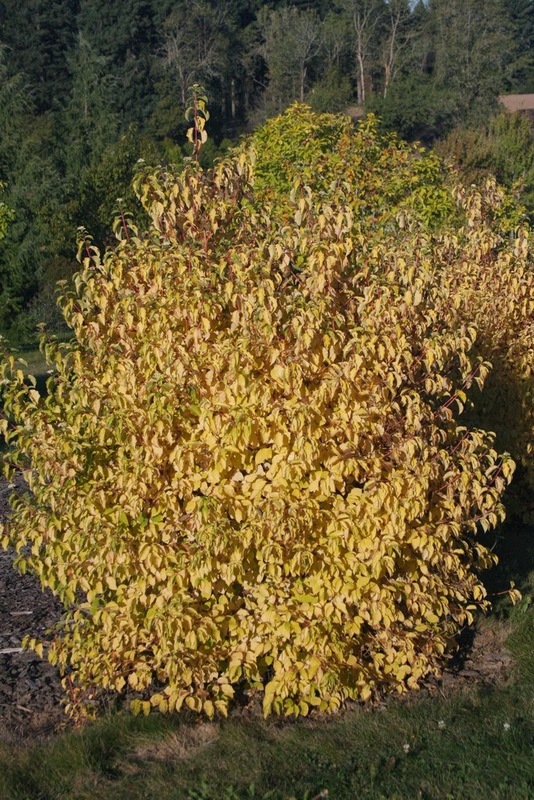 A great tree, but with a horrible name, is Acer palmatum 'Skeeter's Broom', one of the more vigorous of the cultivars with witch's broom origin. 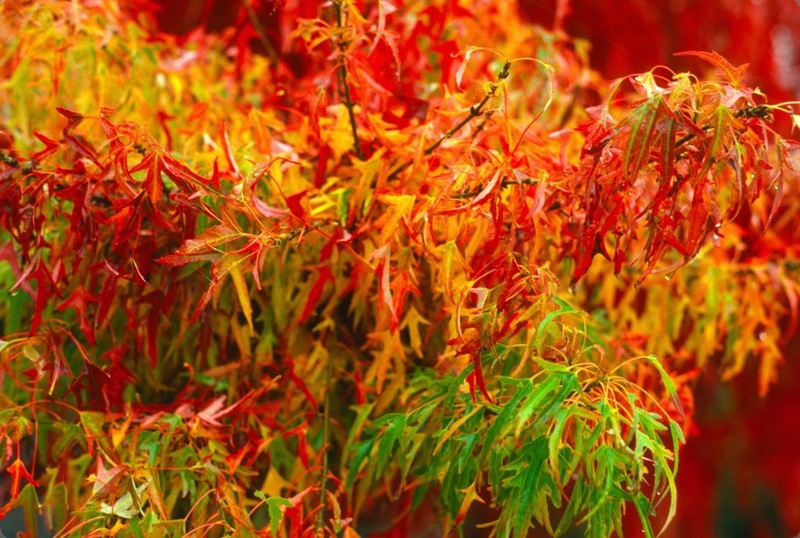 When young it resembles the well-known Acer palmatum 'Shaina', but in time 'Skeeter's Broom' will grow four or five times as large as 'Shaina'. 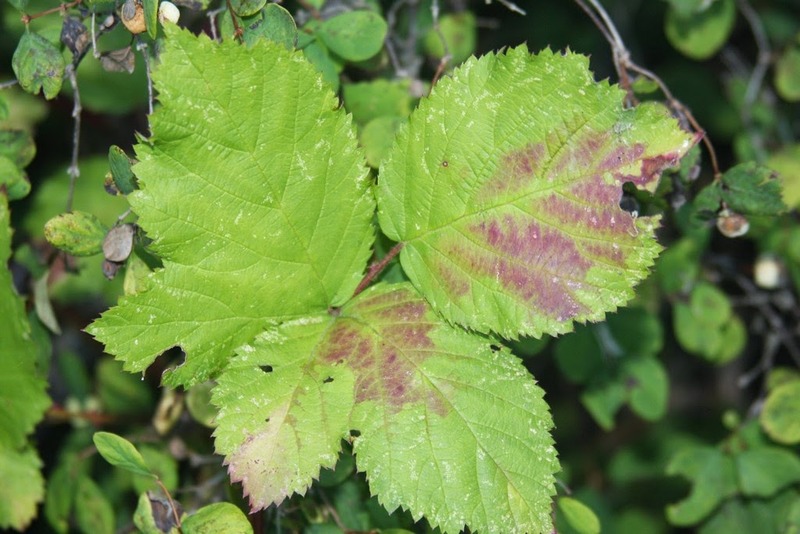 Both cultivars display purple-red foliage with the witch's broom characteristic truncated middle leaf lobe, like the opposite of "giving the finger." 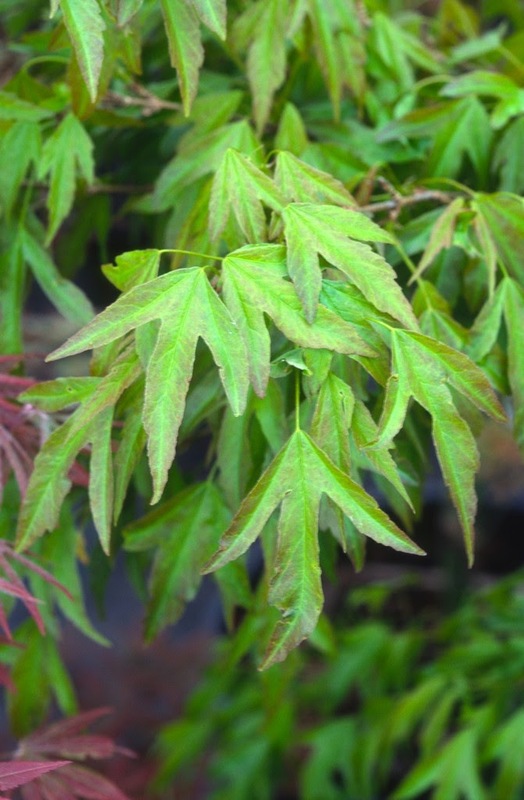 I'm happy to have a nice Acer shirasawanum 'Johin' in the garden, a Buchholz seedling selection from about twenty years ago. My Japanese wife saw the original about twelve years ago, and remarked how elegant the tree looked. I asked her the Japanese name for elegant, and she replied, "Johin." Haruko often has an "artsy" perspective on plants, much different than my concerns as to whether a tree can be propagated, grown to a good shape, then eventually sold. 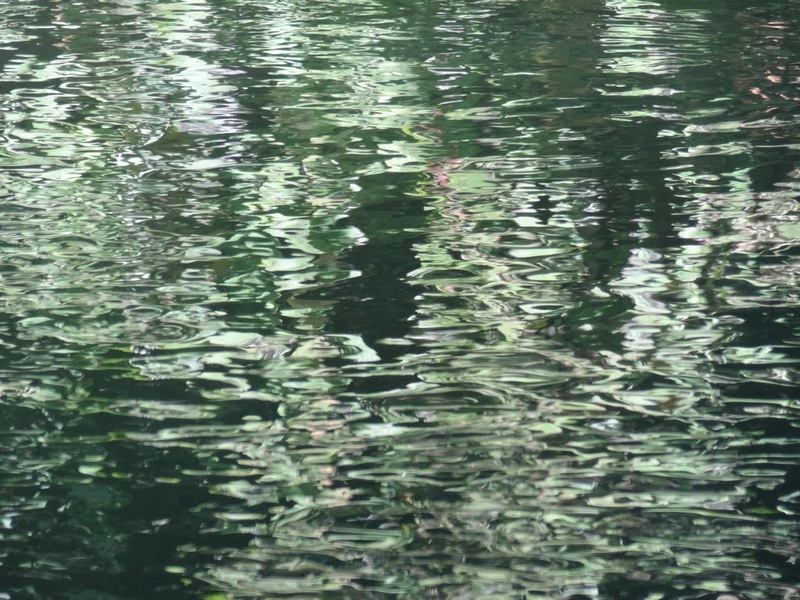 I'd love to float along with her and share with her relationship with trees, so if I ever become independently wealthy I might change. Probably more interesting than my blogs would be hers, which would be titled How Haruko Sees the World. 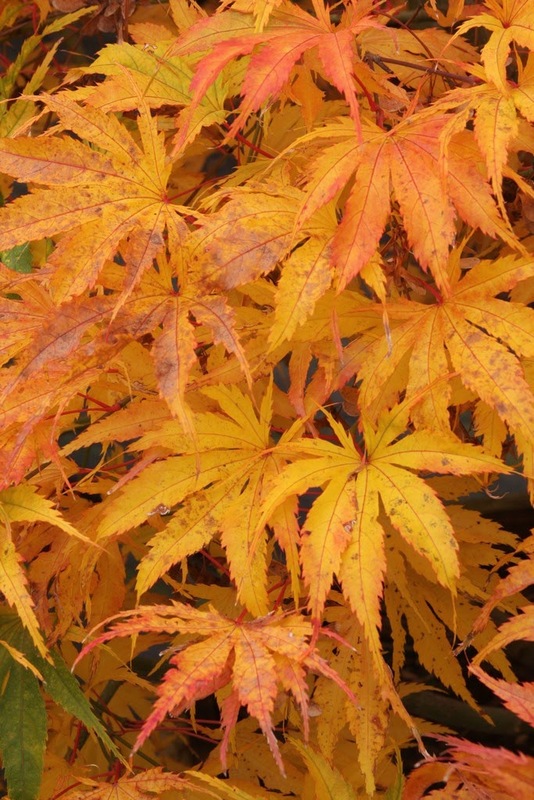 Acer buergerianum 'Mino yatsubusa' is a wonderful cultivar that can be grown in full sun. 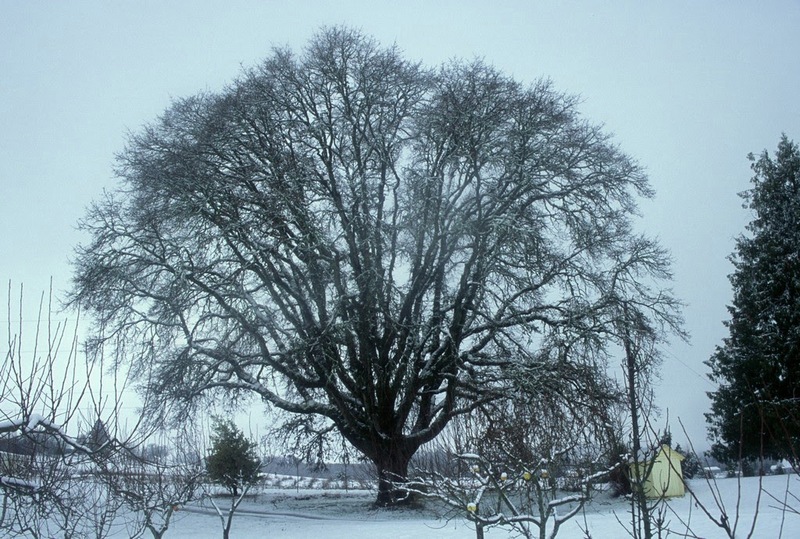 It is an interesting shrub or small tree for its long-tapered center-lobes, and it really takes to the extreme the species' common name of "Trident Maple." 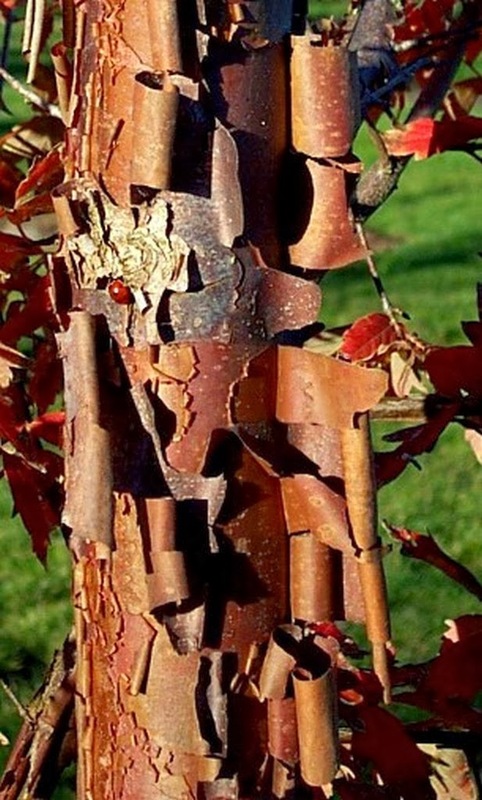 In autumn one can encounter leaves of green, yellow, orange, red and purple, all at once on the same tree. 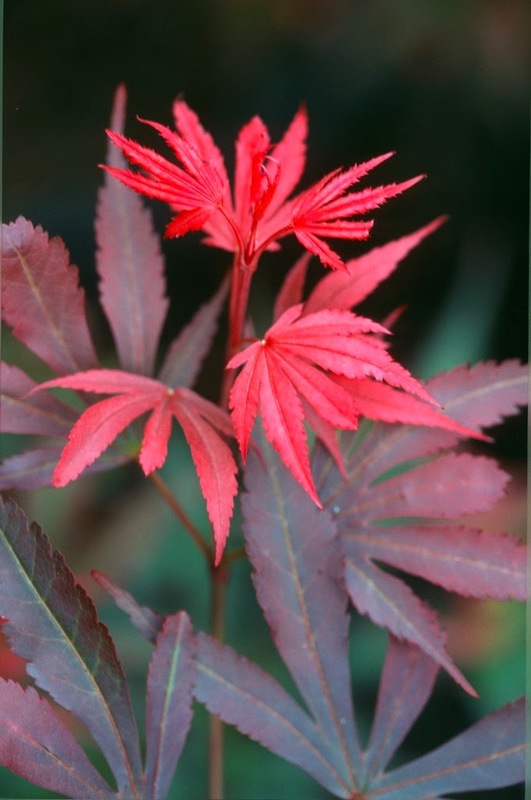 In the Vertrees/Gregory Japanese Maples, 'Mino yatsubusa' is said to be rare in cultivation because "it is very difficult to propagate (even on Acer buergerianum stock)." 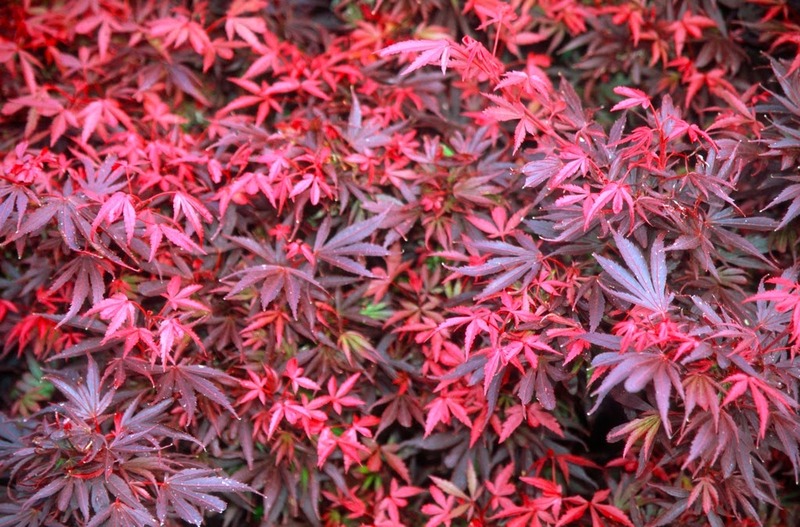 The same is said about Acer palmatum 'Goshiki kotohime' because of "the lack of vegetative growth," and that the true dwarf will top out at "less than 1m (3 ft.) tall." That's news to my ten-foot specimen of about twenty years of age, and the fact that I have eight-footers on my specimen availability. We have achieved over 50% on rooting 'Mino yatsubusa' in summer under mist, and regularly receive success rates over 90% on 'Goshiki kotohime', also under mist. Don't forget that rooting cultivars is "propagation" too, not to mention those propagated via tissue culture. It has been said that I'm "strongly opinionated" in my blogs, and I guess that is true. On the other hand, I try to be very careful about how I project my growing experiences, as I usually don't have the final verdict. One is wise to qualify one's claims, and words such as perhaps and maybe are most useful. Also, use a low pedestal and speak with a humble mouth, because you are usually not as smart as you think. Thank you. 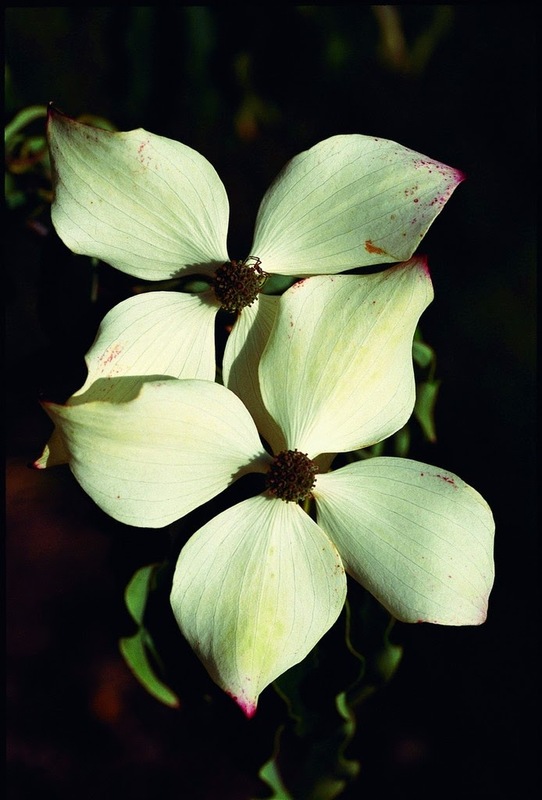 Alright, there are a lot of trees in the Cornus section, but how about the Cornus genus itself? 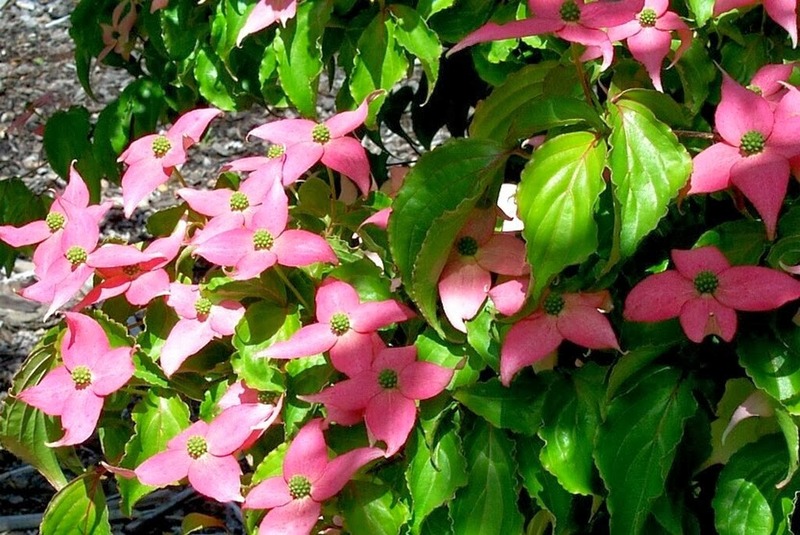 Well, the oriental Cornus kousas are the most prevalent, as I learned long ago that the kousa species was less resistant to the "Dogwood" bane, Anthracnose (a fungus that affects a variety of plants in warm, humid areas) than the native Cornus florida of eastern North America. And, our market is largely in "warm, humid areas of central and eastern USA." 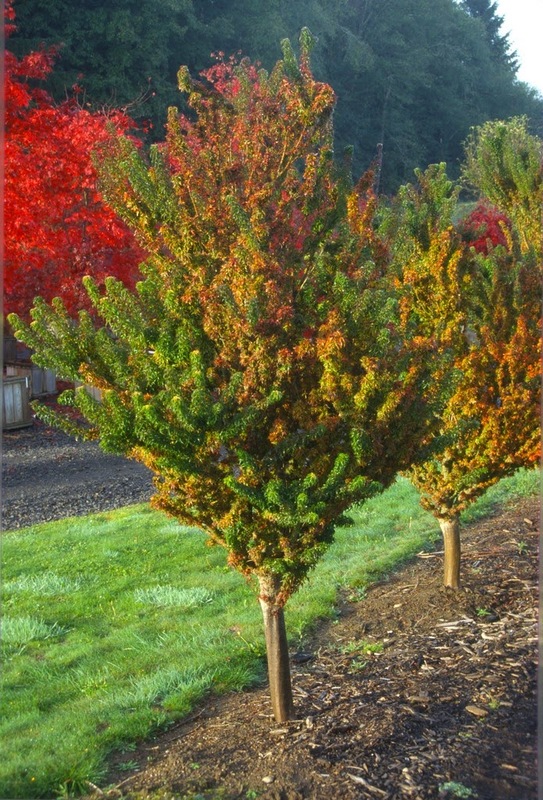 The kousas come with variable leaf and blossom colors, and most provide exciting fall color. What's not to like about these neat little trees? 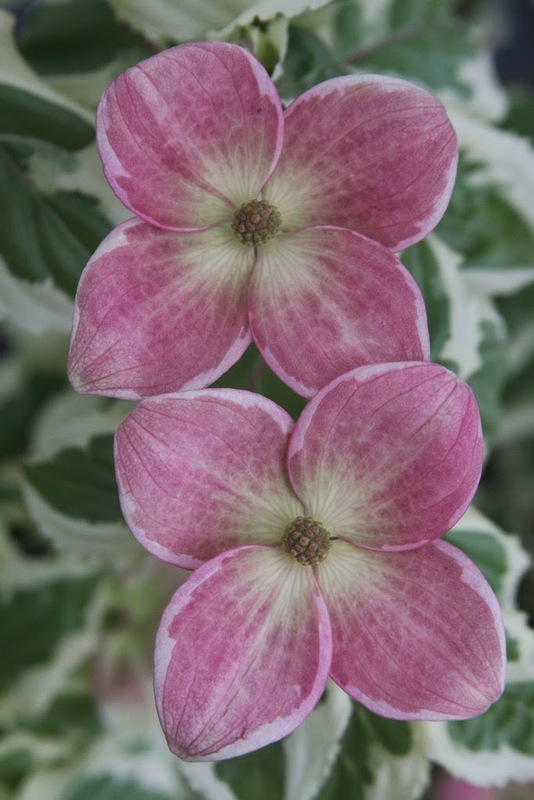 Our Cornus section features kousa 'Heart Throb', our introduction 'Summer Fun', 'Beni fuji' and 'Akatsuki'. 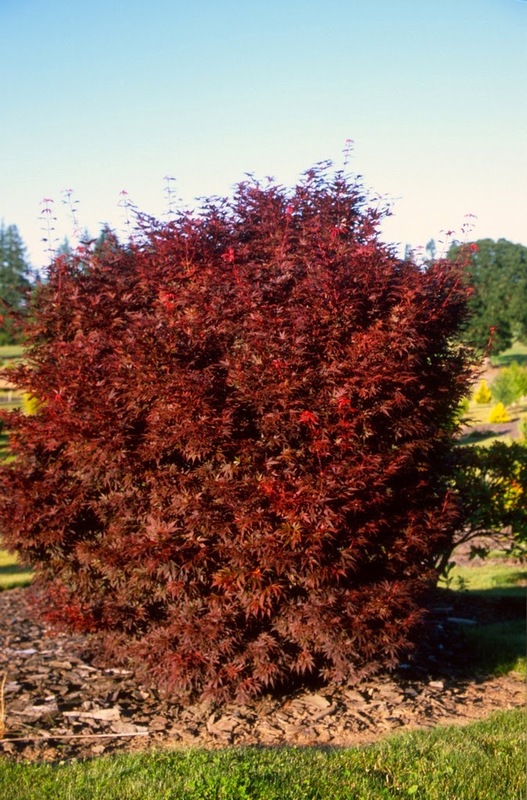 'Heart Throb' is a vigorous tree with a rounded canopy, and possibly the most deep-red blossom of any – at least here in Oregon. 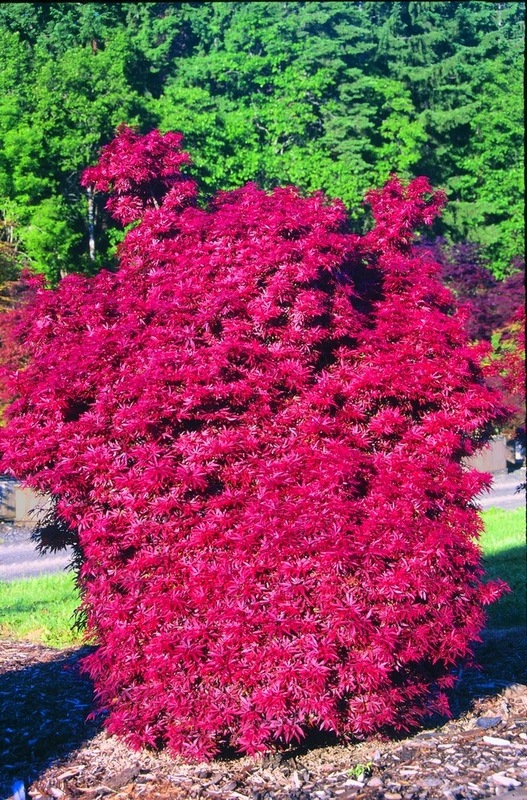 The flower of 'Beni fuji' is also very red, but the tree is much more dwarf, and it might take at least ten years for it to grow five feet tall. 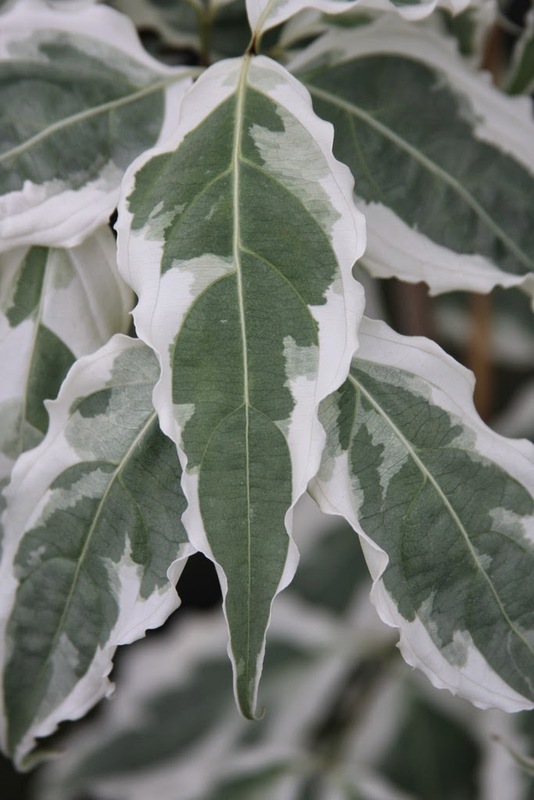 'Summer Fun' is our introduction, and it features one of the most delicious white-and-green leaf variegation of any plant, and is certainly much superior to the previously-selected cultivar of 'Wolf Eyes'. Nice name, 'Wolf Eyes', anyway. 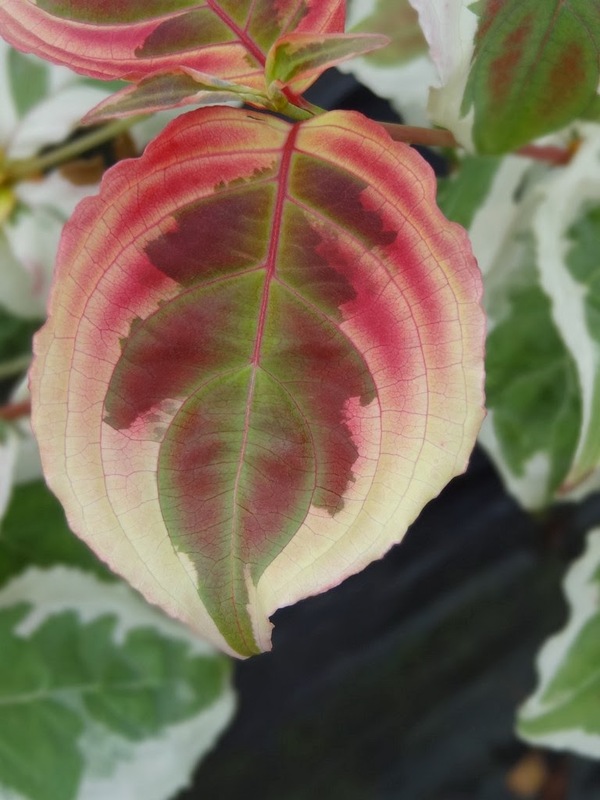 'Akatsuki' is also variegated white-and-green, but not as prettily as 'Summer Fun'; however 'Akatsuki' features flower bracts that vary from reddish to quite red, depending on the season. 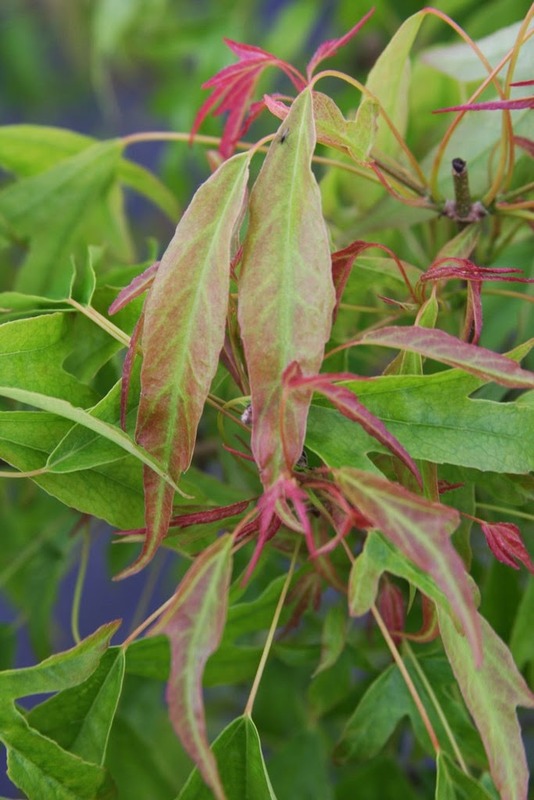 While it's nice to have reddish flowers on a white-green tree – since they stand out more – the blossoms last only a few weeks, whereas the vibrancy of 'Summer Fun' lasts through spring and summer. 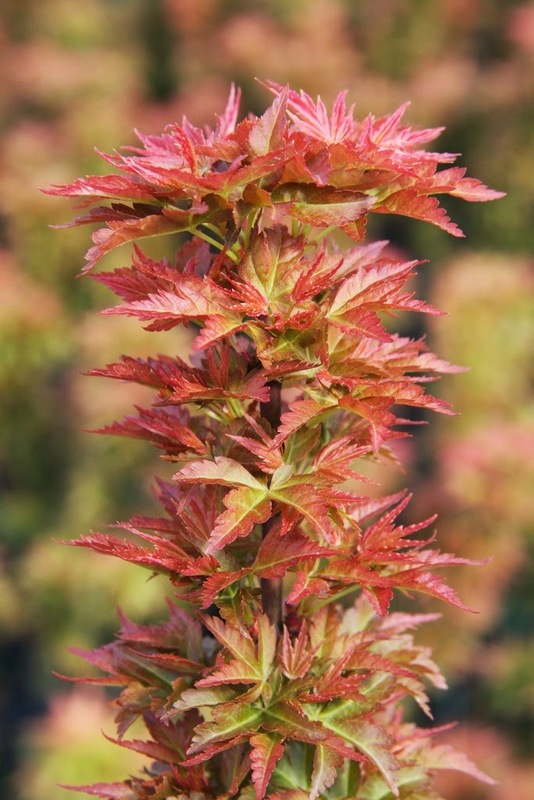 In addition, 'Summer Fun' is unsurpassed for autumn color. Ok, I'll admit: that 'Summer Fun' is the best selection of kousa, largely because it is my selection. Good bye 'Wolf Eyes' hello 'Summer Fun'. 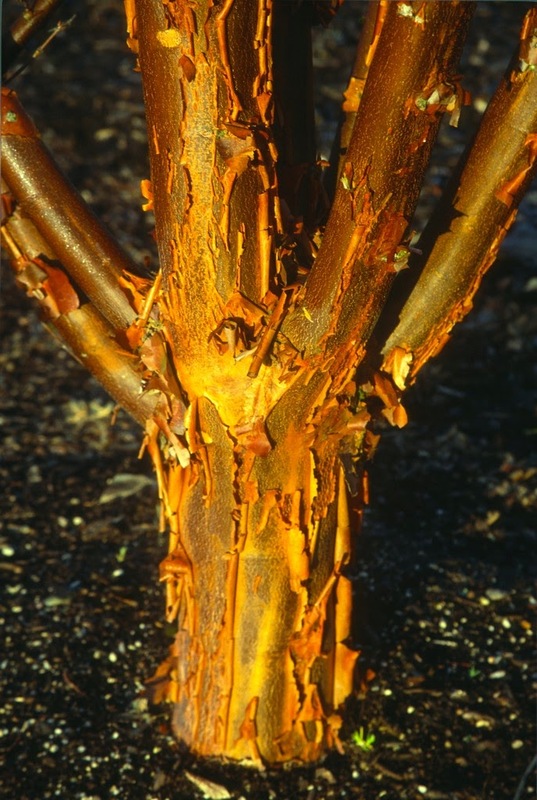 The sanguinea species of Cornus is commonly called the "Bloodtwig Dogwood" because of its red stems. 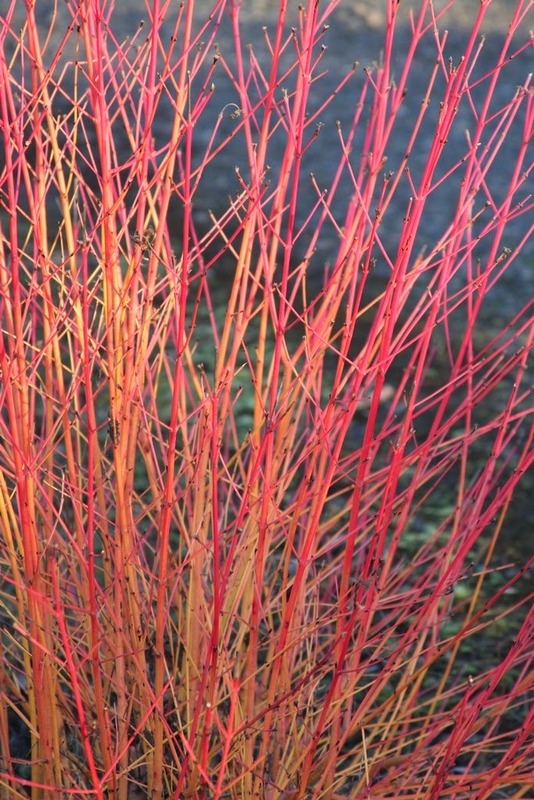 But the 'Sango kaku'-like cultivar of 'Midwinter Fire' is adorned with glowing coral-red winter stems. 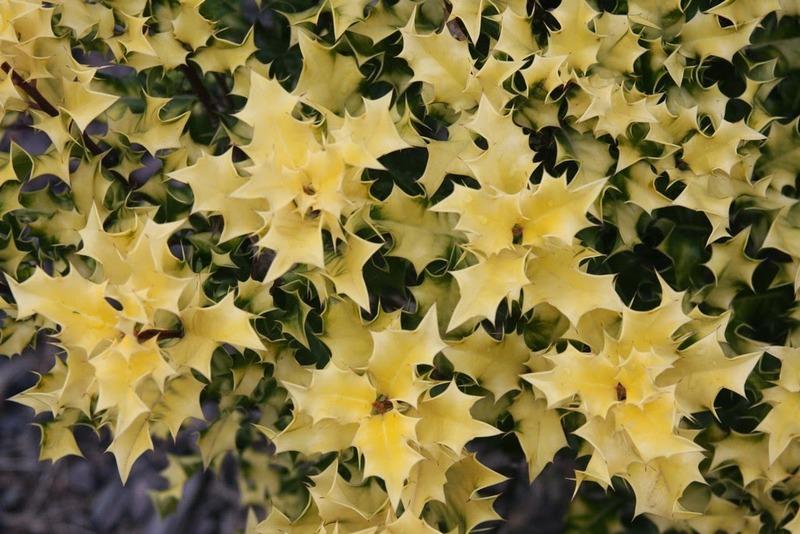 The bush throbs with color for half a year, while admittedly it is a non-event during spring and summer. 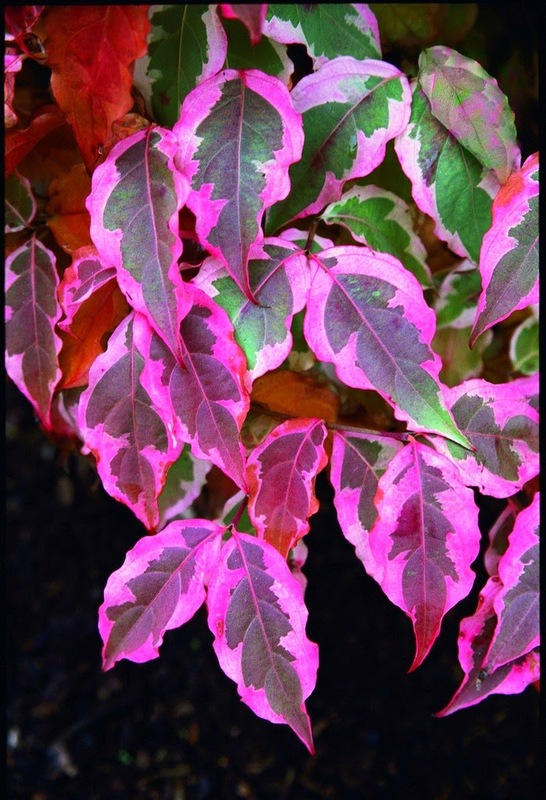 The genus name sanguinea is from Latin for "blood-red," but the 'Midwinter Fire' cultivar is much more orange-bright, and it absolutely glows with photographic backlight. 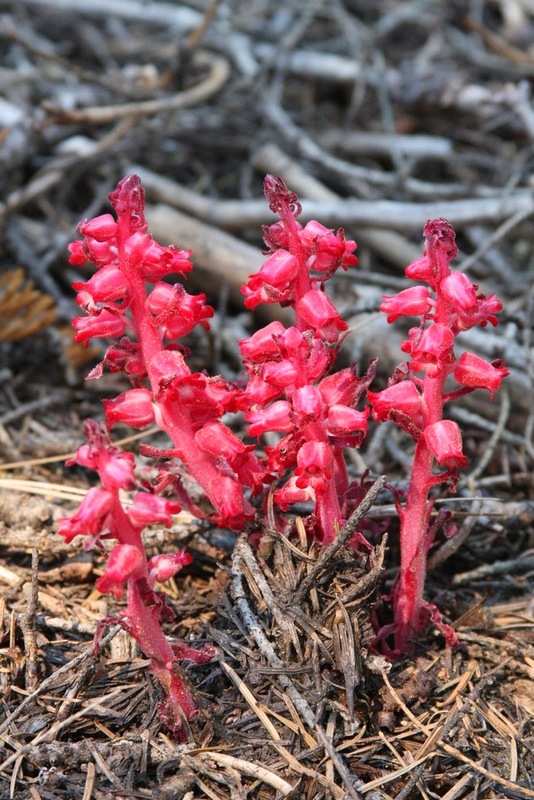 I am reminded of the plant Sarcodes sanguinea, commonly called "Snow Plant," which occurs in southern Oregon to Yosemite in mid-eastern California. This phallic protuberance emerges in late spring at elevations between 4,000 to 9,000 feet in elevation. I first saw this ericaceous plant with a blonde girlfriend years ago, and we practically raced to the nearest motel to celebrate our discovery. The wild flower does not accomplish photosynthesis, but is rather in favor of a symbiotic relationship with underground fungi. Such plants, my God, provide as much entertainment as any person or event. One never tires, for the more you learn and experience, the more joy you receive. I'll admit that I'm a sucker for "BIO plants," which means of "Botanical Interest Only," and Cornus paucinervis is certainly one such plant. 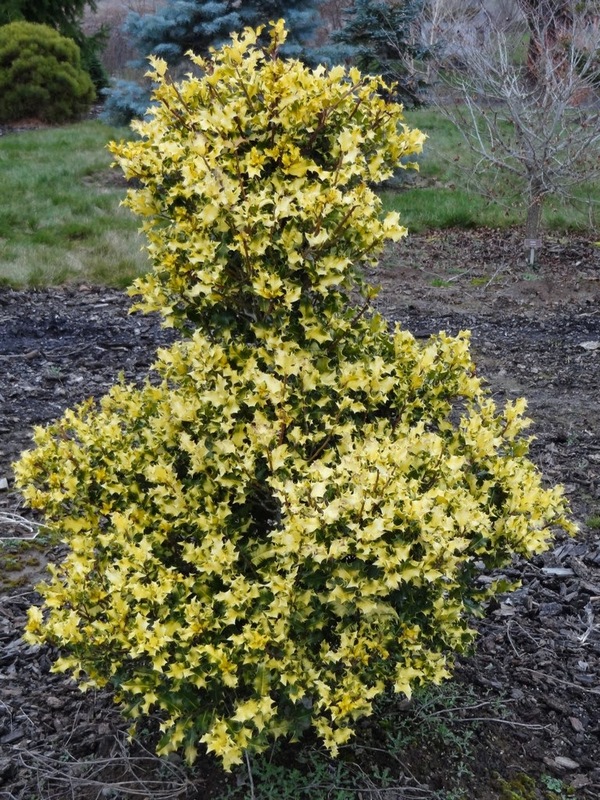 It is a small deciduous shrub with a dense, low-spreading form. The Chinese native is unremarkable for its small, narrow green leaves and creamy-white summer flowers...followed by tiny black fruits in autumn. The flowers are shaped in a cruciform (cross) arrangement, and are presented in an umbelliform cyme inflorescence. 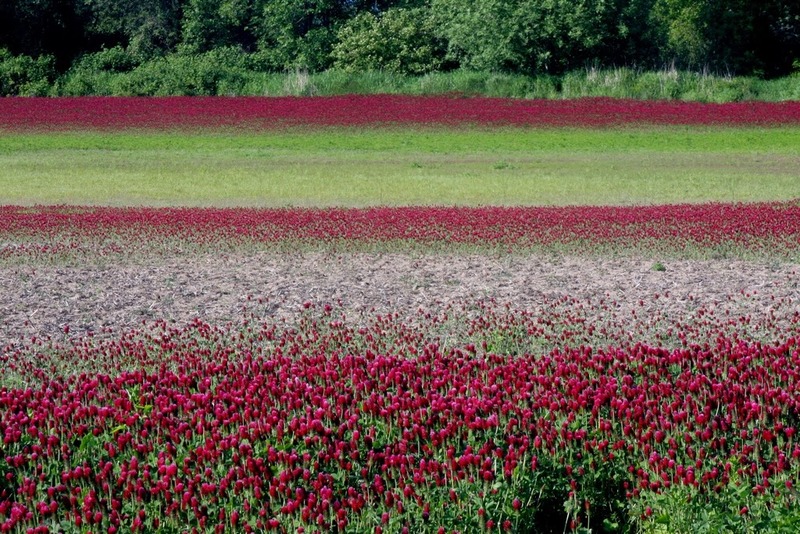 And the botanical term cyme usually means a flat-topped flower cluster which ends in a bloom...that begins before the flowers below or beside it open. The cyme term, from French for "summit," is probably one that neither you nor I will remember. The species name paucinervis is derived from French (that from Latin) paucus meaning "little" or "few," and nervis is from Latin nervus which refers to a "fiber." 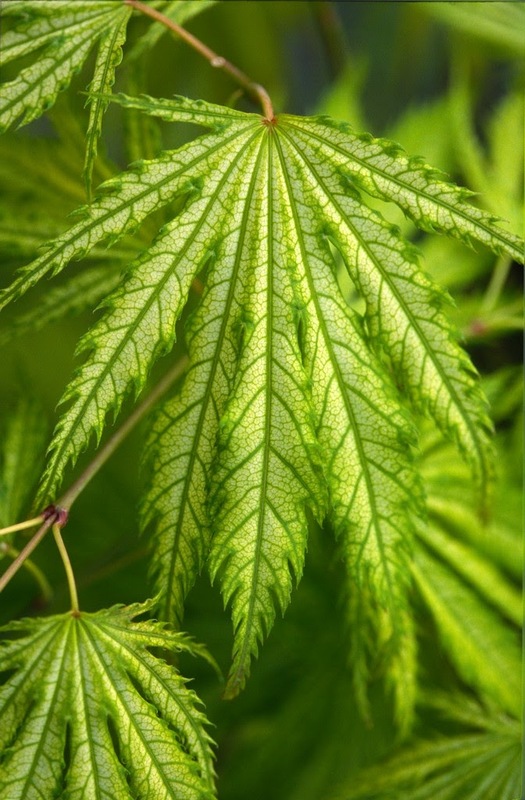 But I must admit that I don't know where the "few" or "small" fibers exist on the plant. I'll research that further this summer when the plant is in bloom. 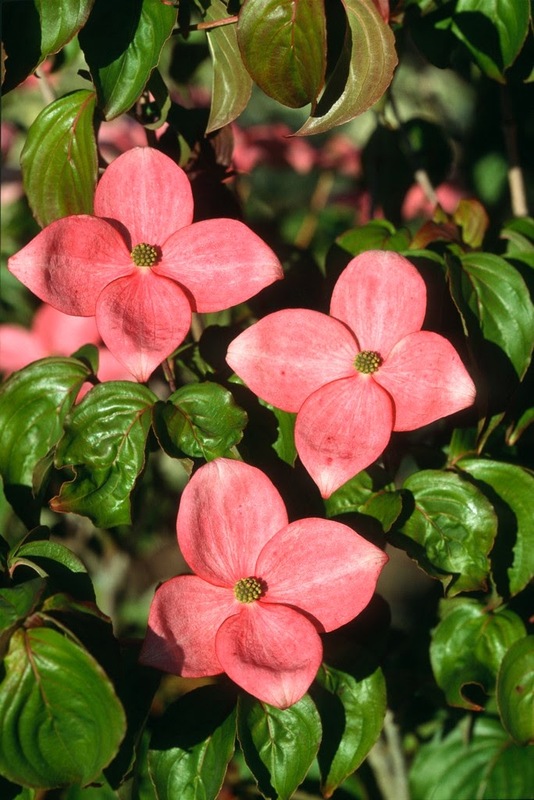 The final Cornus that I'll discuss is the hybrid 'Porlock' which is a cross between Cornus kousa and Cornus capitata, and it originated in the garden of Norman Hadden in Porlock, England. In mild winters at Flora Farm the reddish-brown foliage persists throughout the winter, but this year many leaves have fallen, which I'm glad about because I don't find them attractive anyway. The hybrid is said to be hardy to -10 degrees F, USDA zone 6, but that might be wishful thinking since the capitata species itself is only hardy to zones 8 or 9. 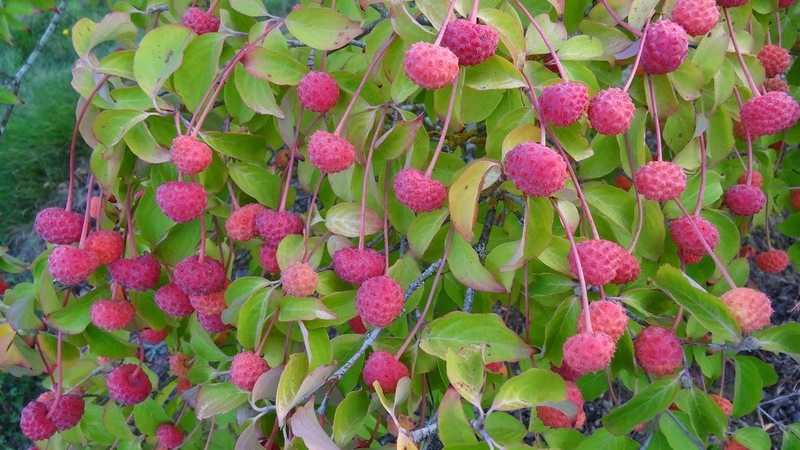 In the low-elevation Himalayas the dogwood fruits are edible by birds and humans, and it is known as the "Himalayan Strawberry Tree." The Latin name cornu means "horn" due to the hardness of the Cornus wood. 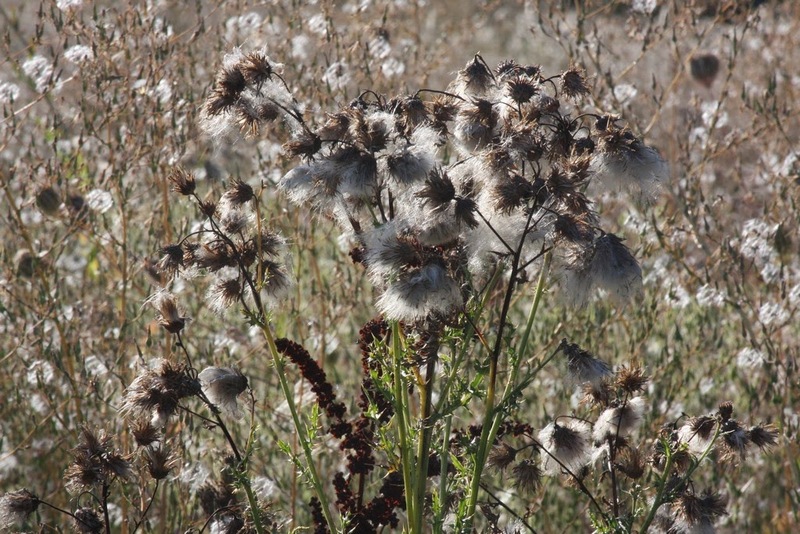 The species name capitata is derived from Latin caput, meaning "head," due to the mounding flowers and fruits. you can hang out with me anytime."